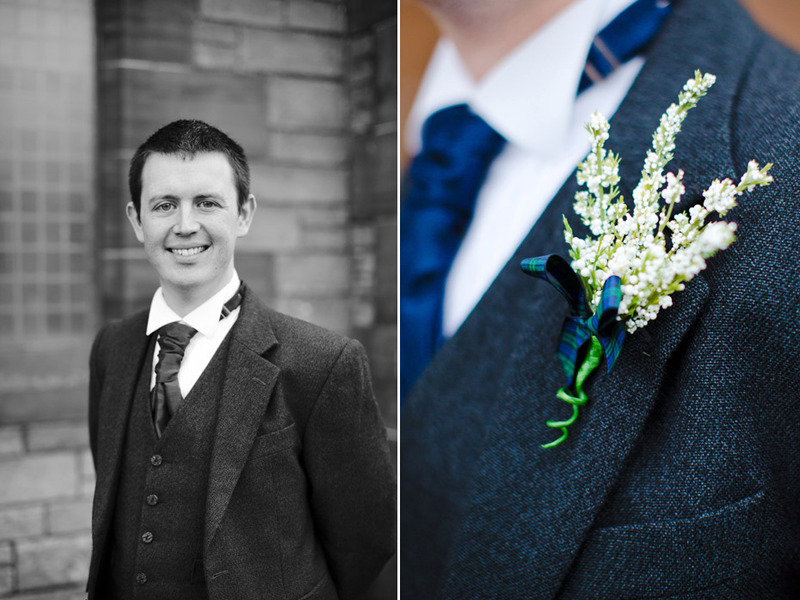 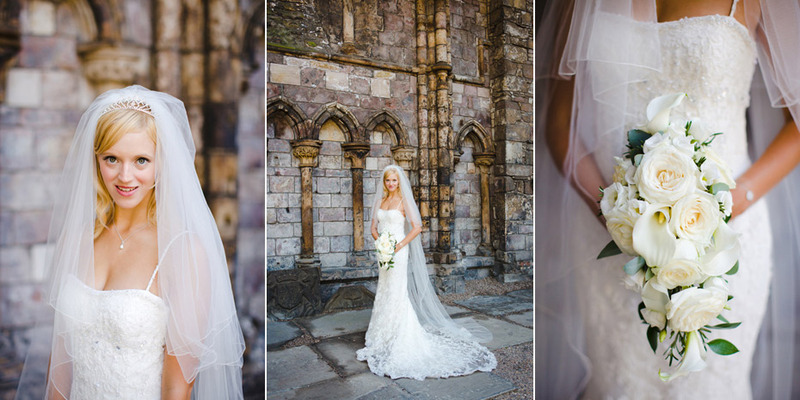 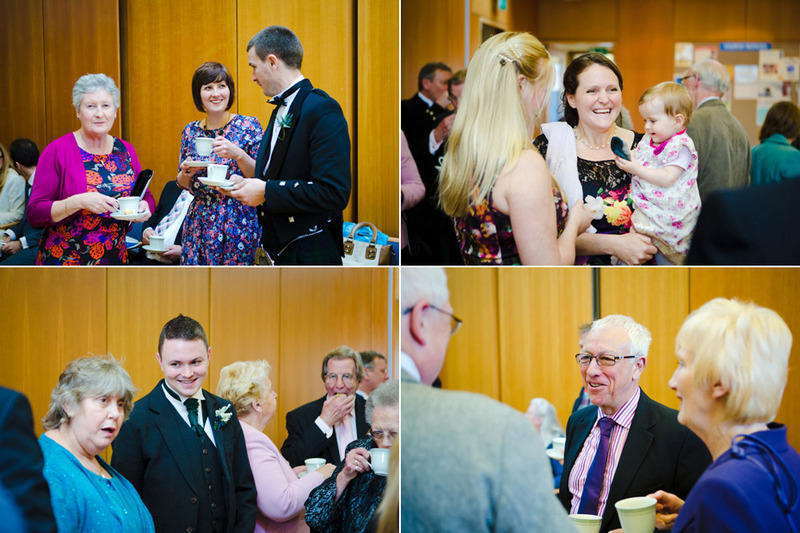 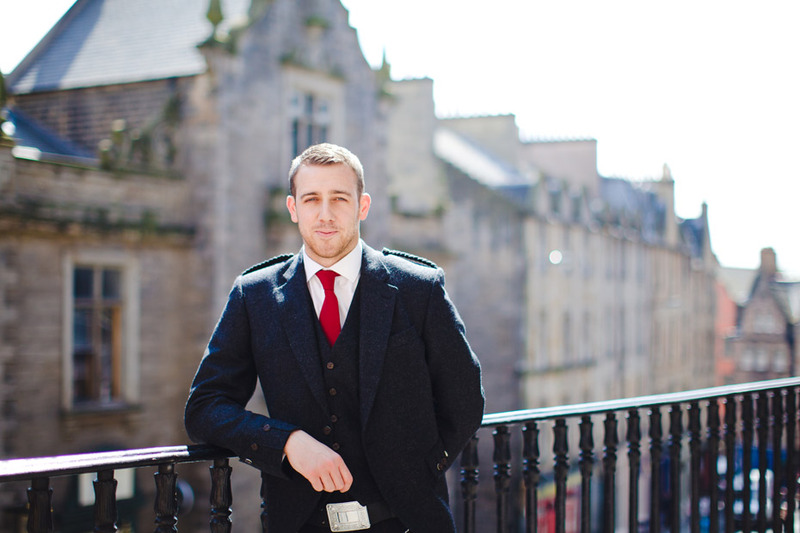 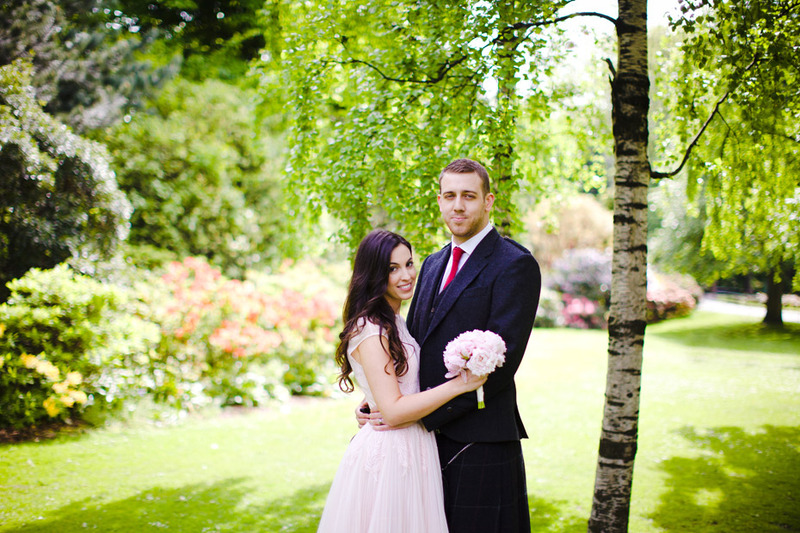 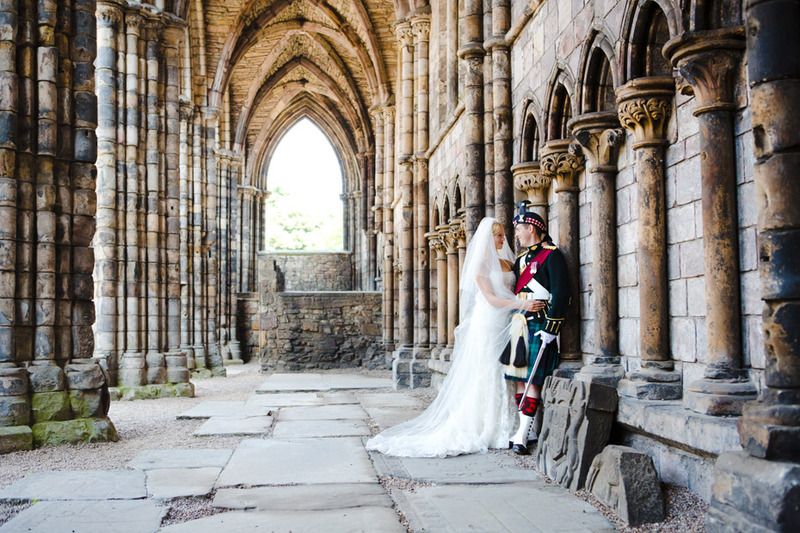 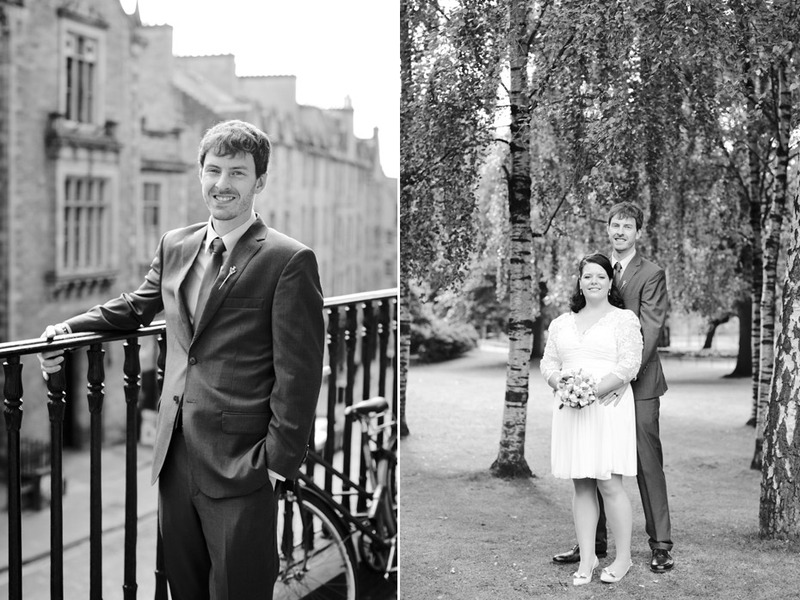 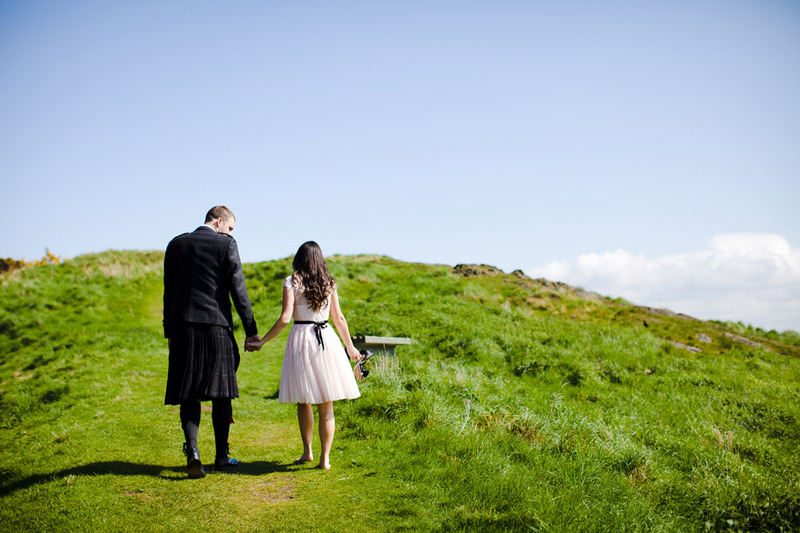 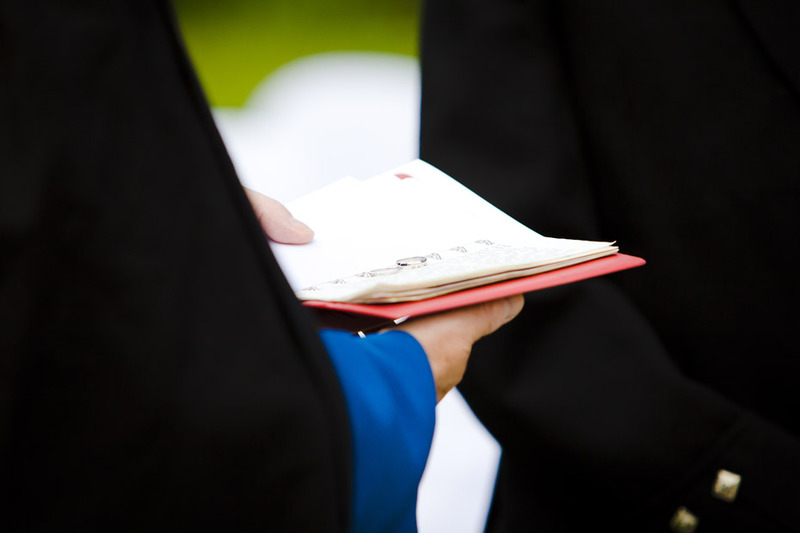 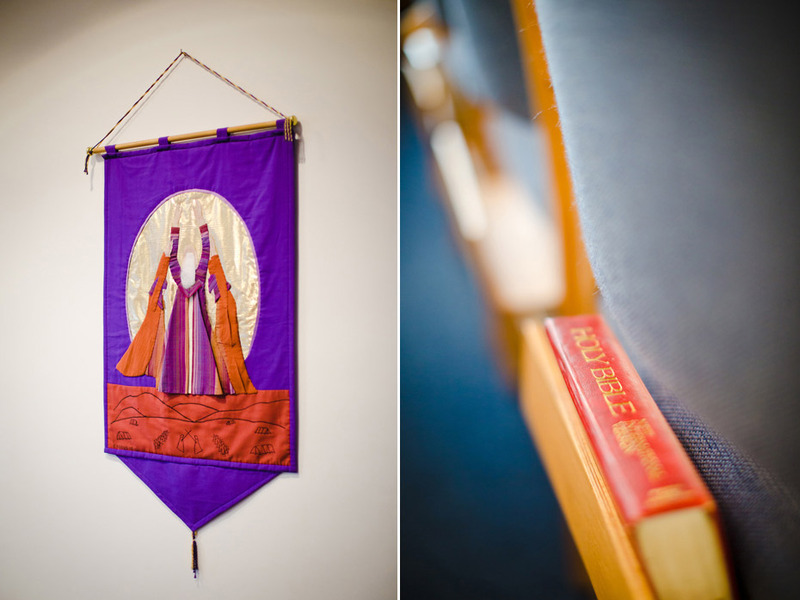 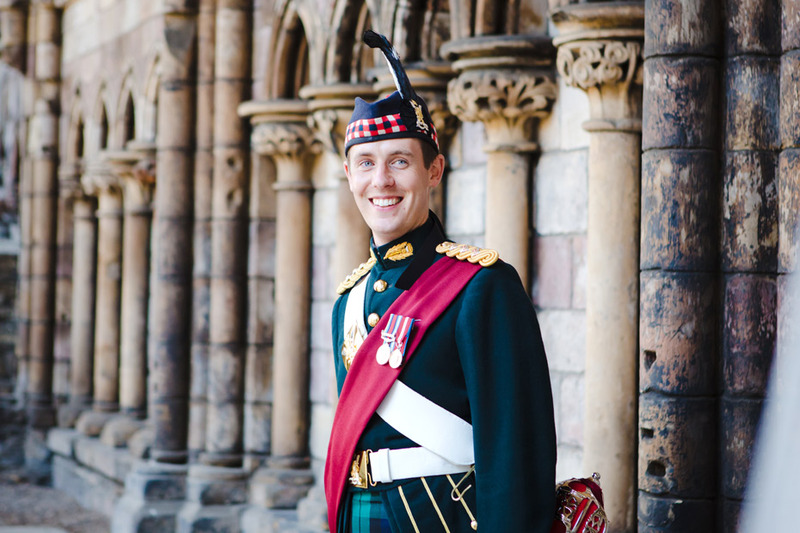 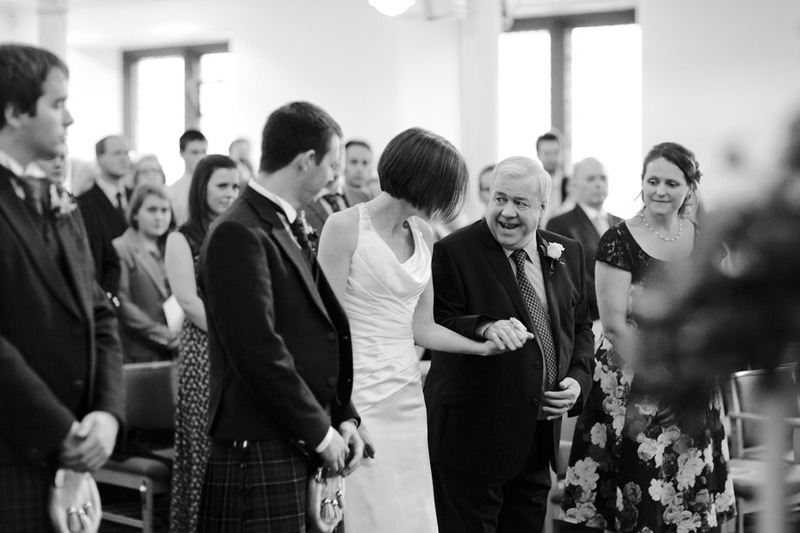 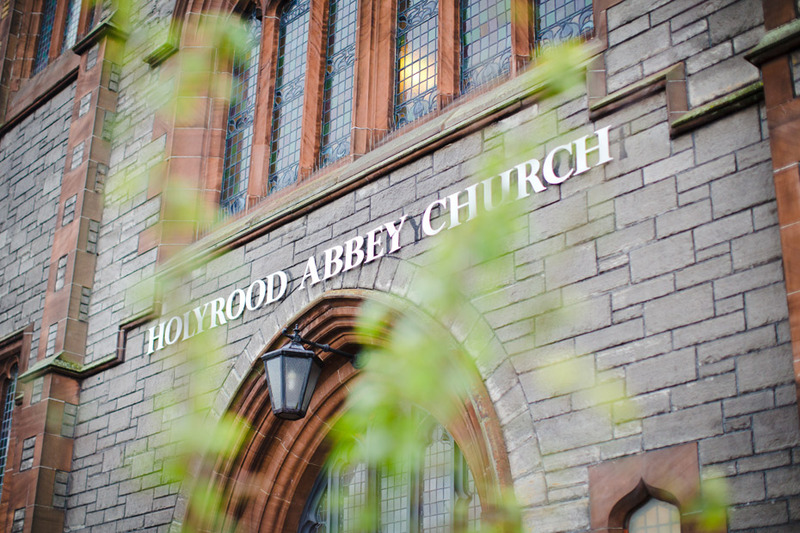 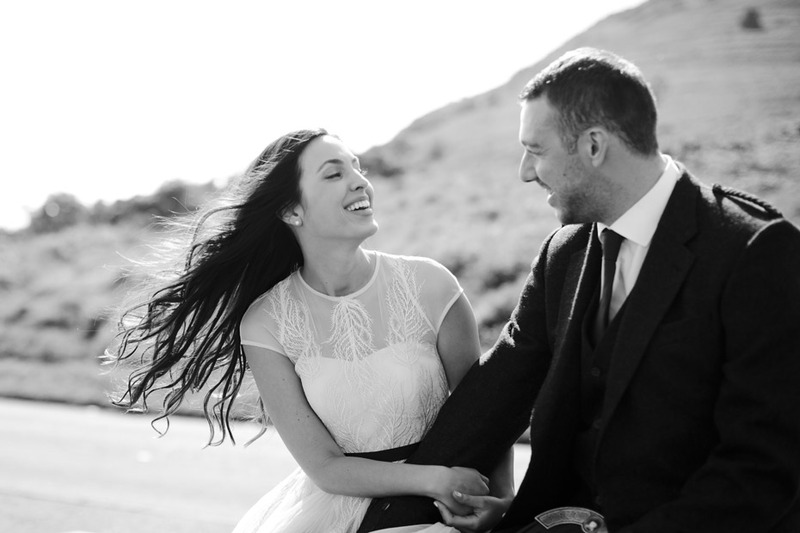 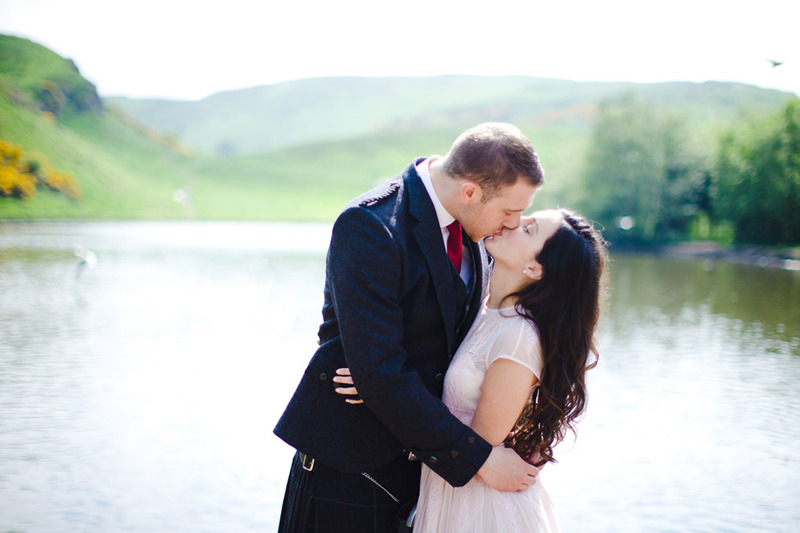 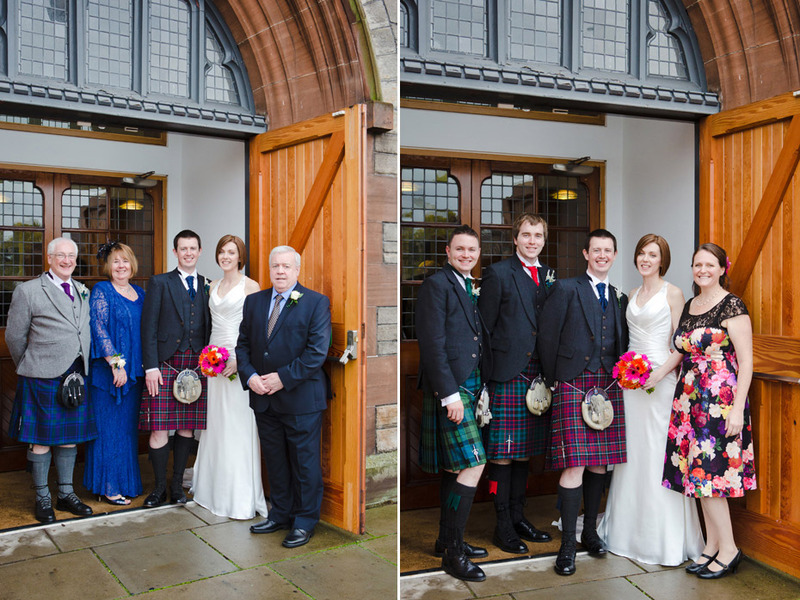 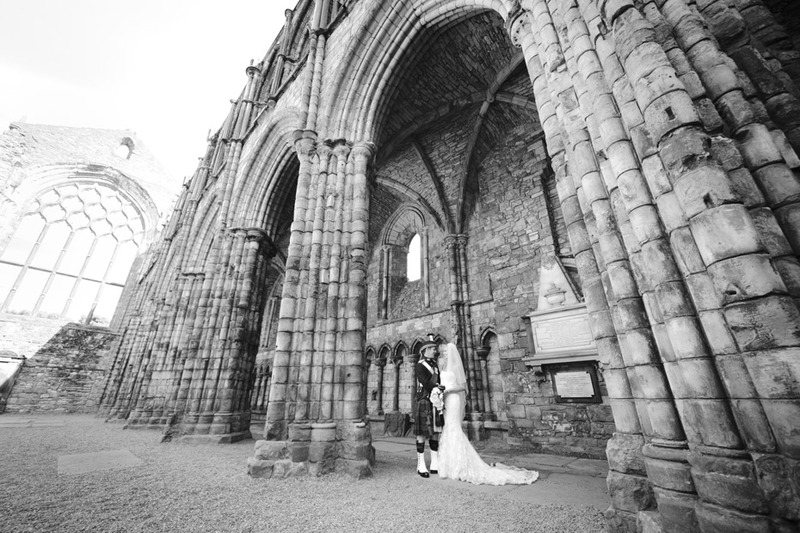 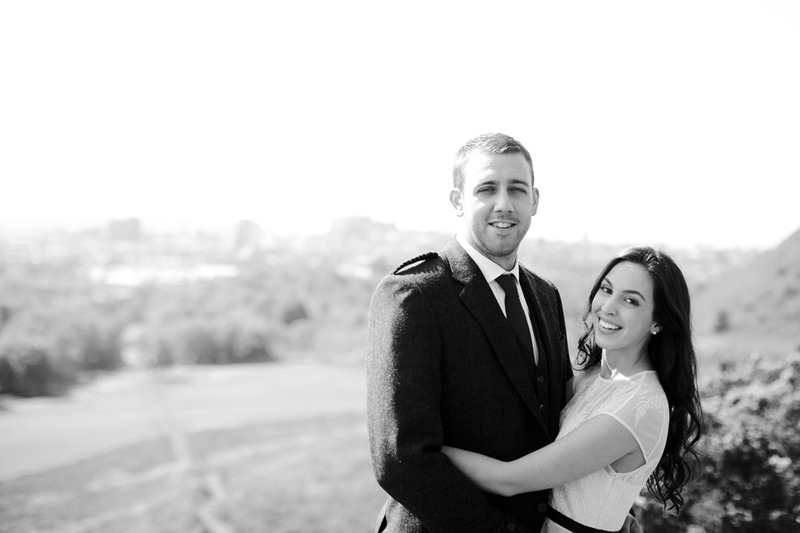 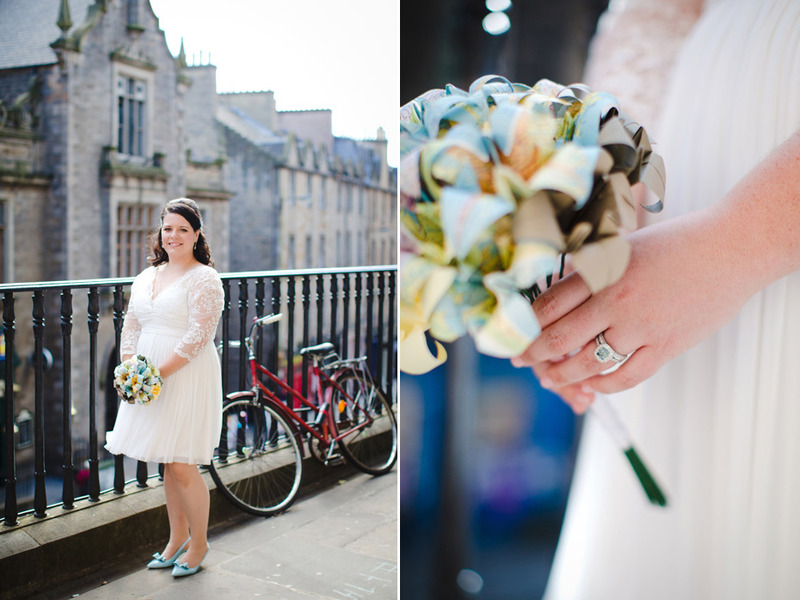 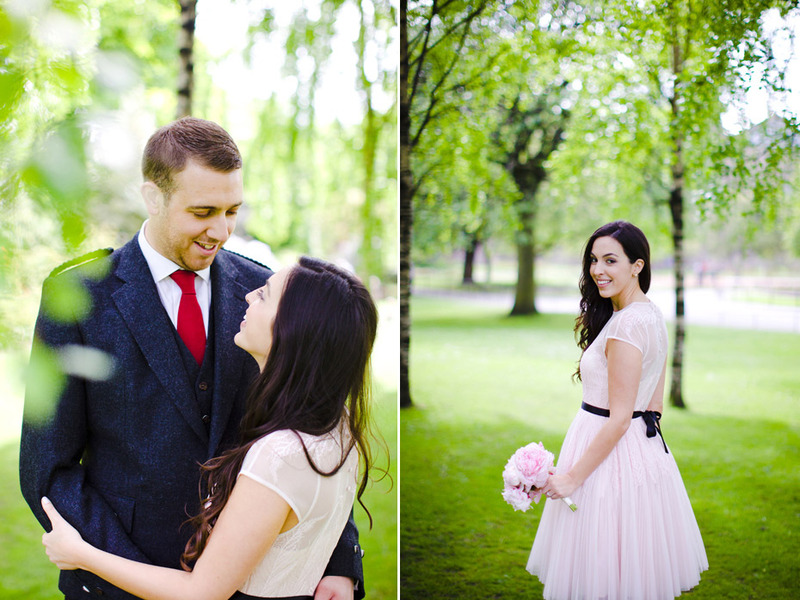 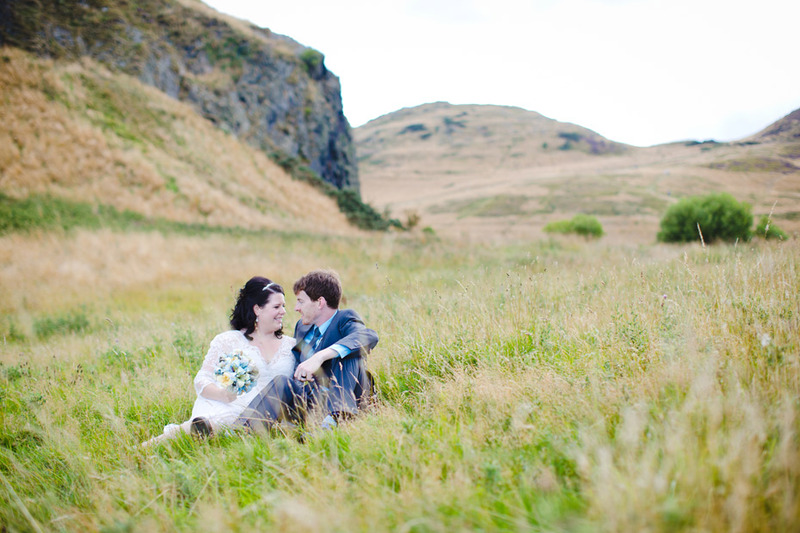 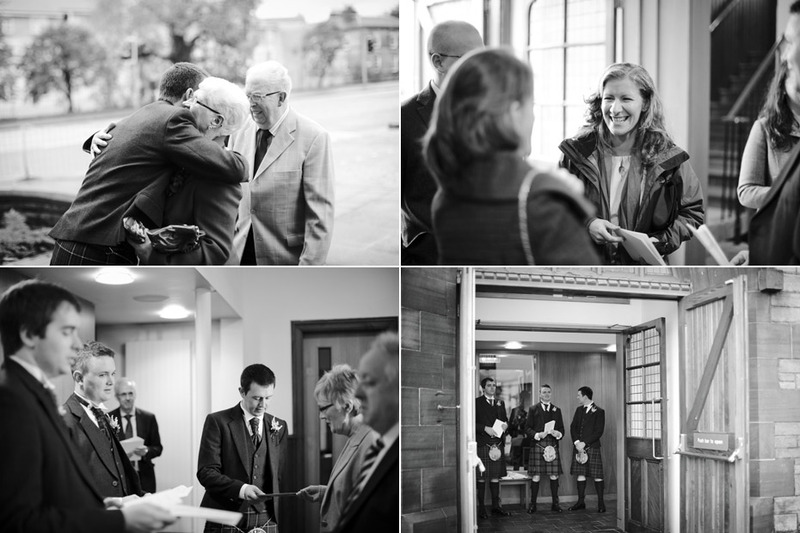 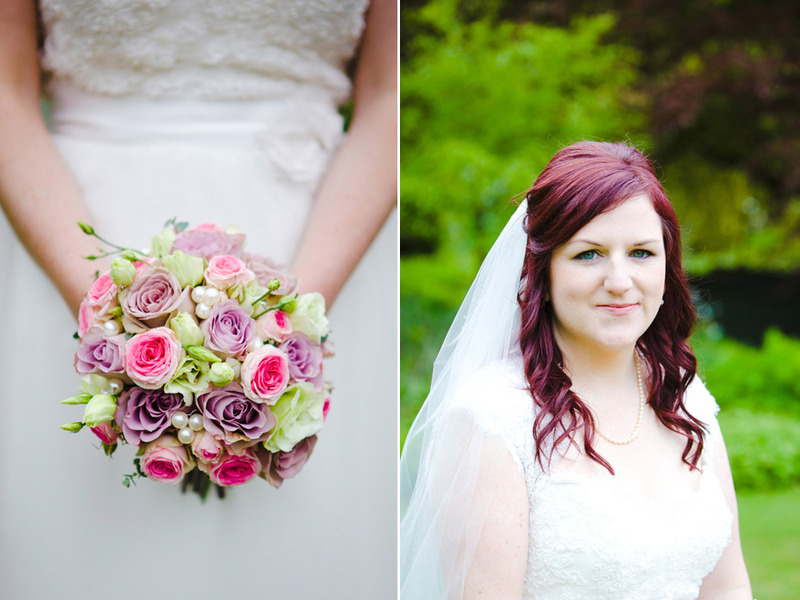 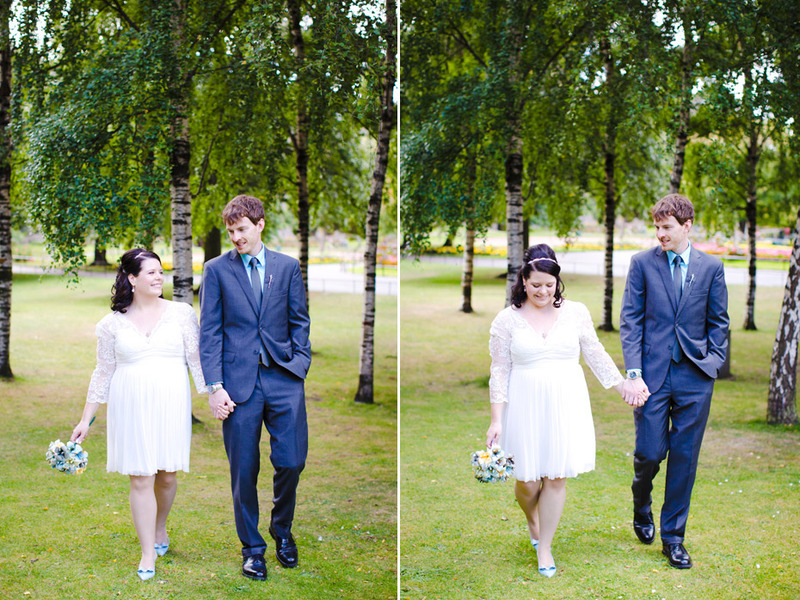 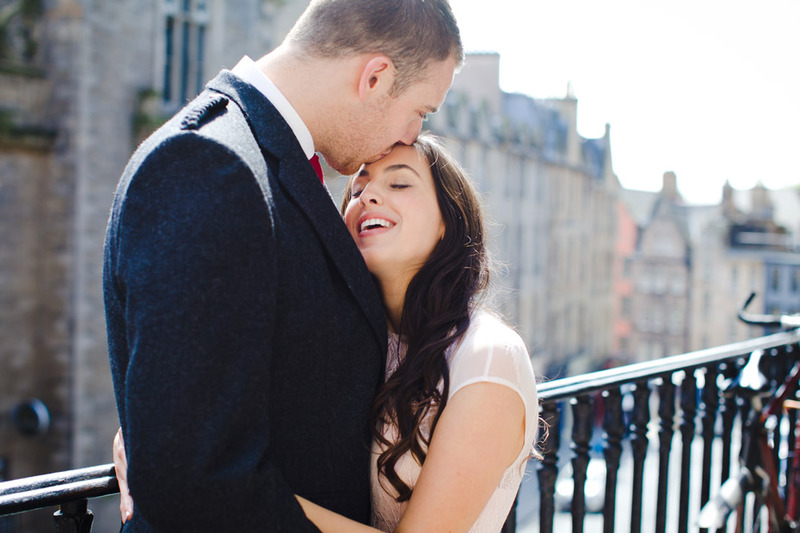 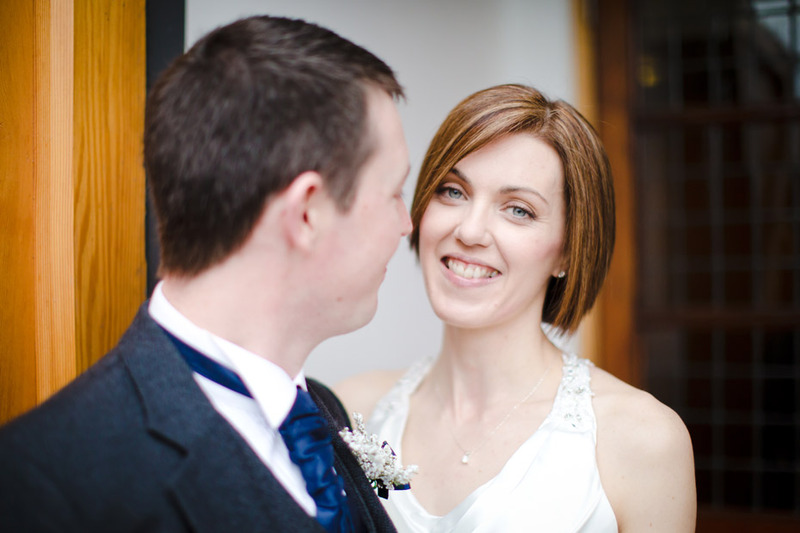 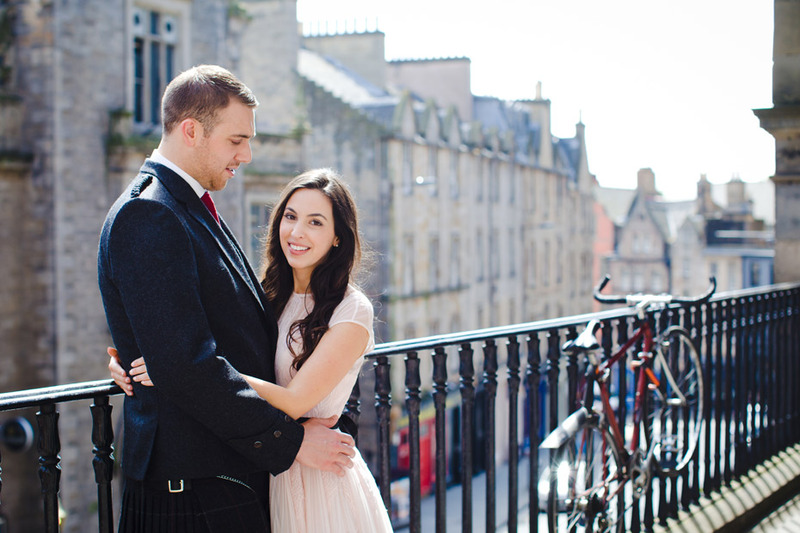 Last month I was delighted to shoot Jennifer & Alasdair’s wedding at Holyrood Abbey Church. 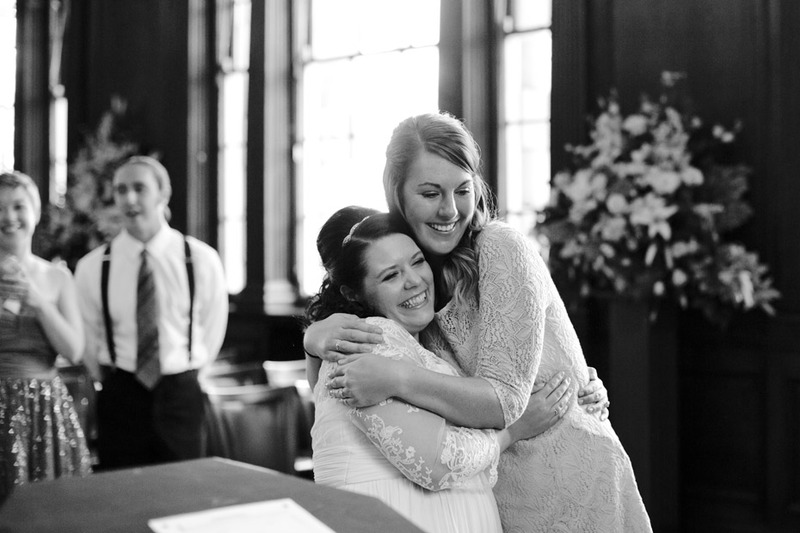 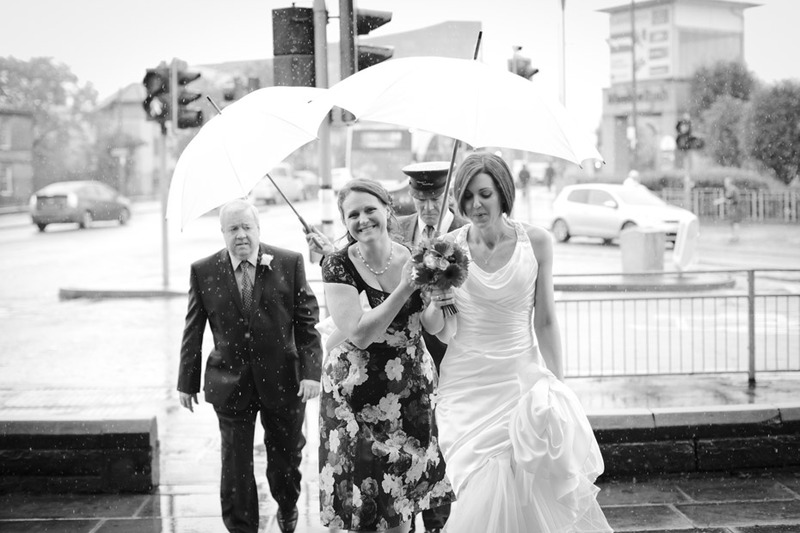 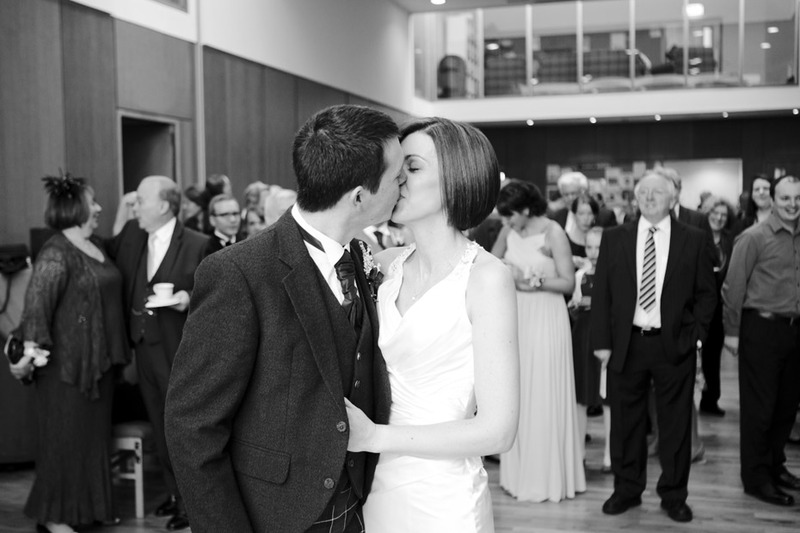 There was a fairly large amount of guests at this wedding but it still felt very intimate and personal to the couple. 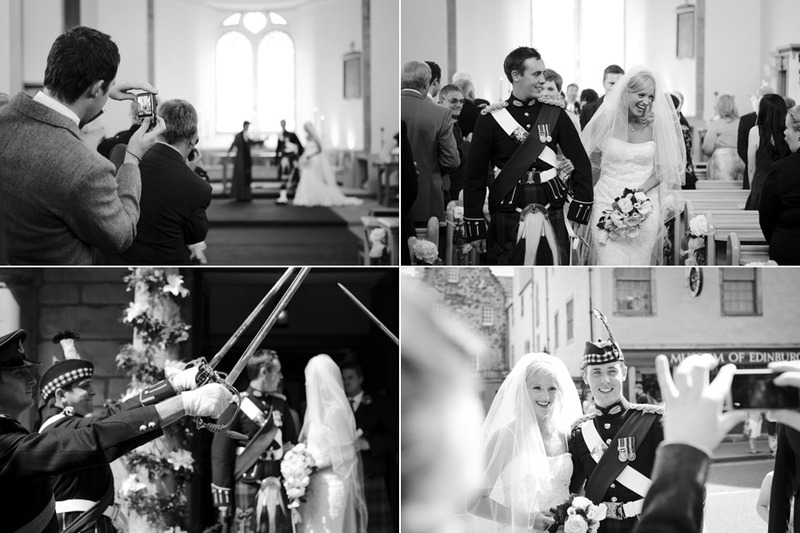 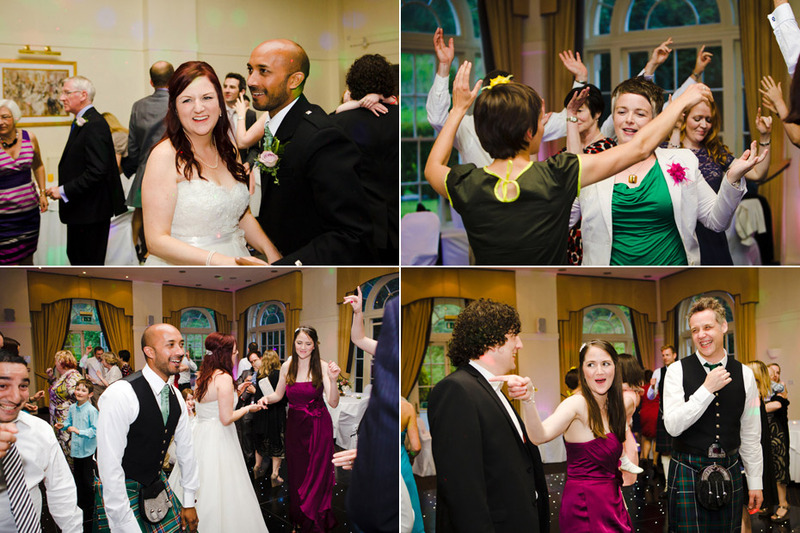 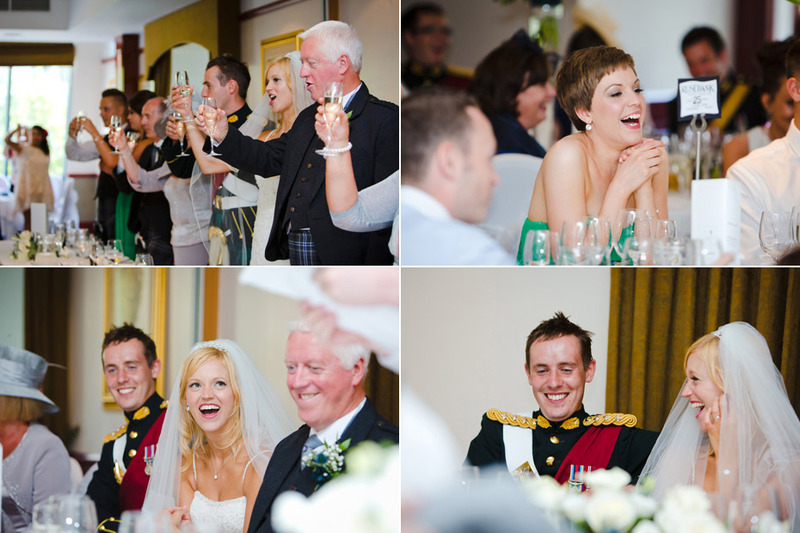 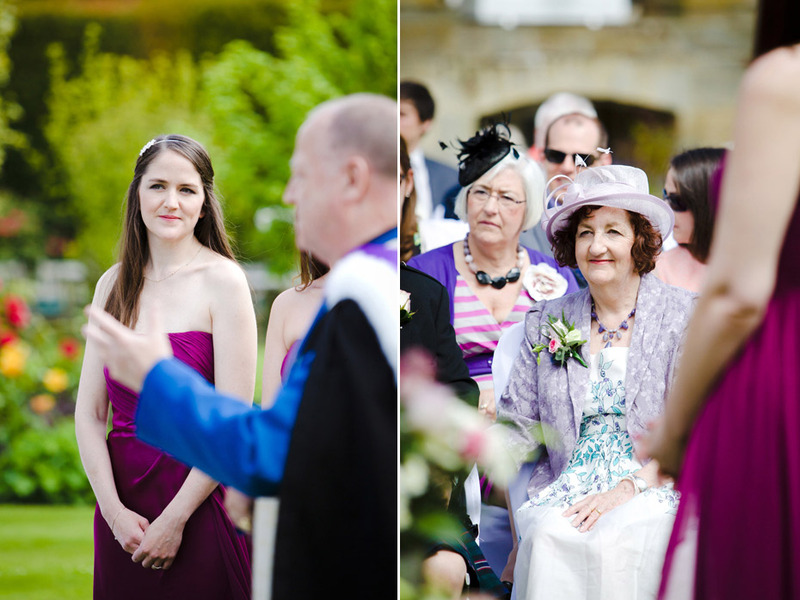 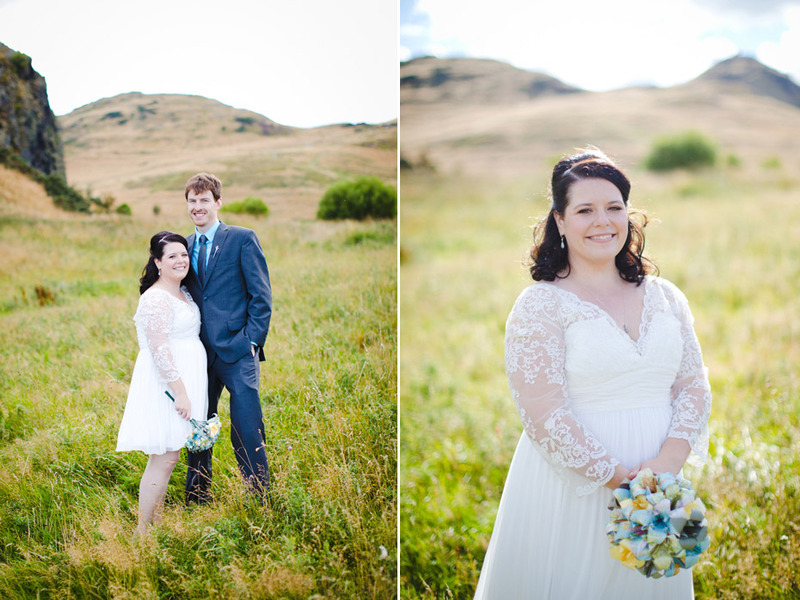 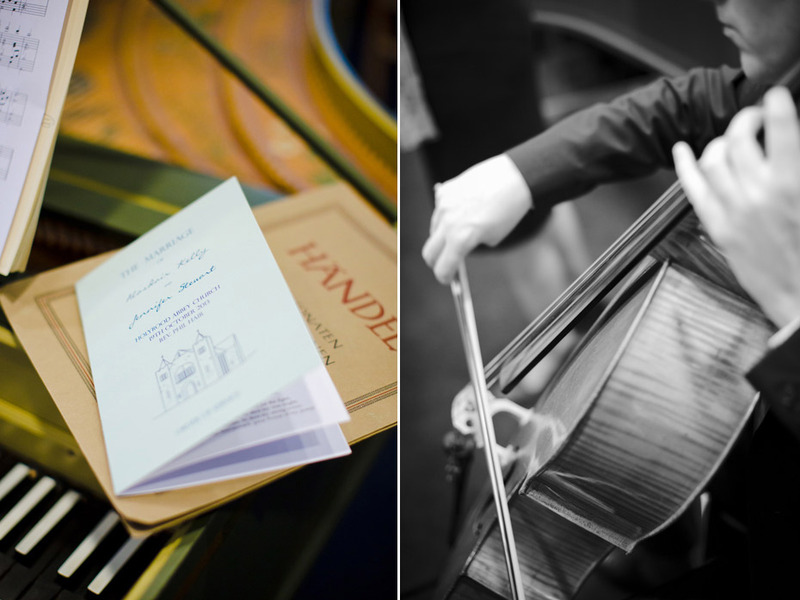 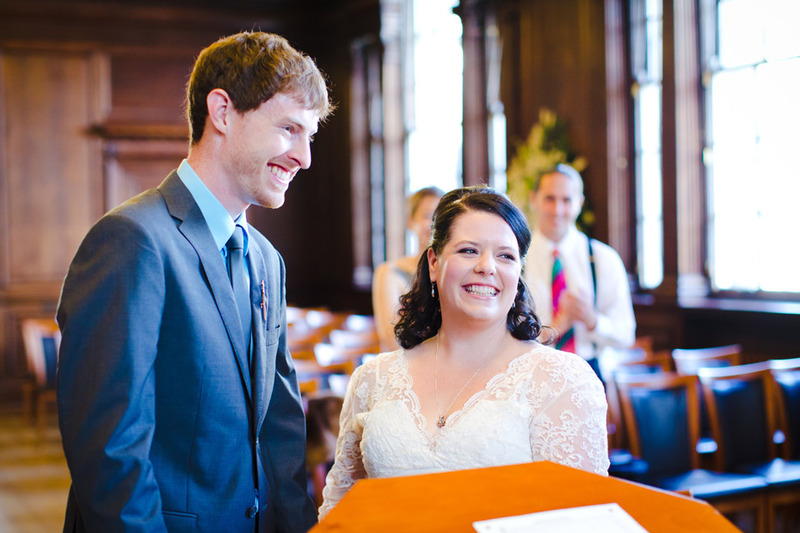 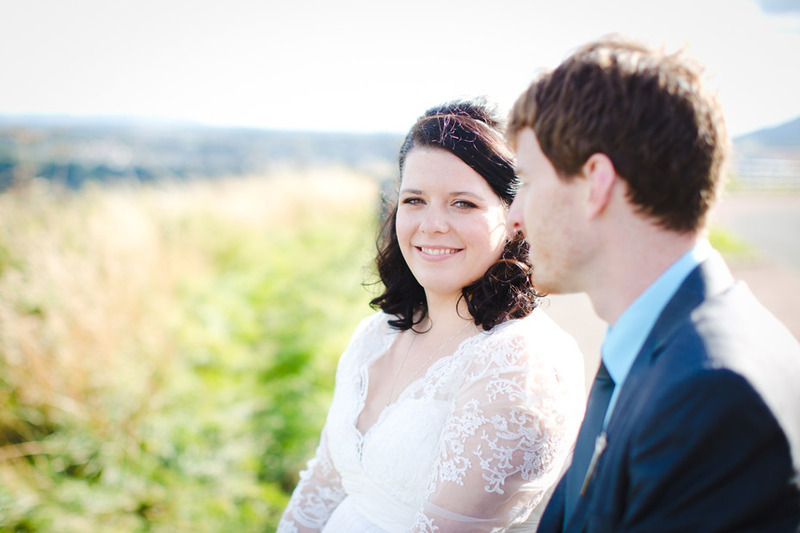 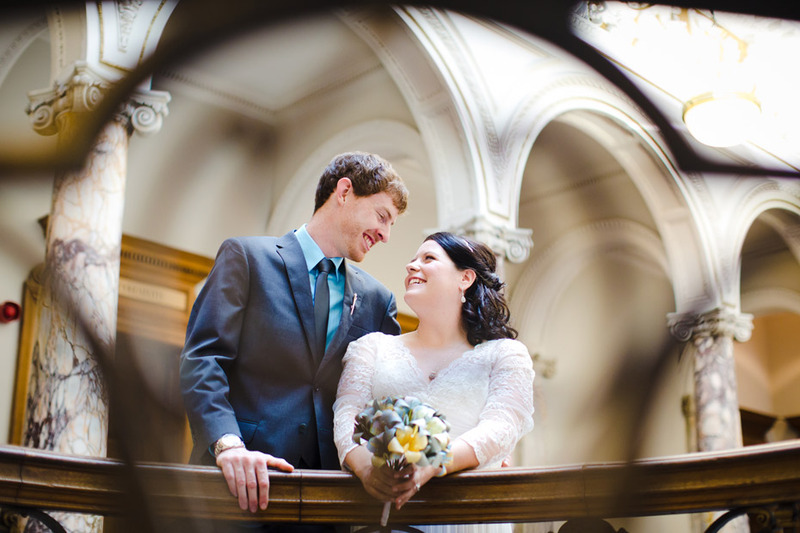 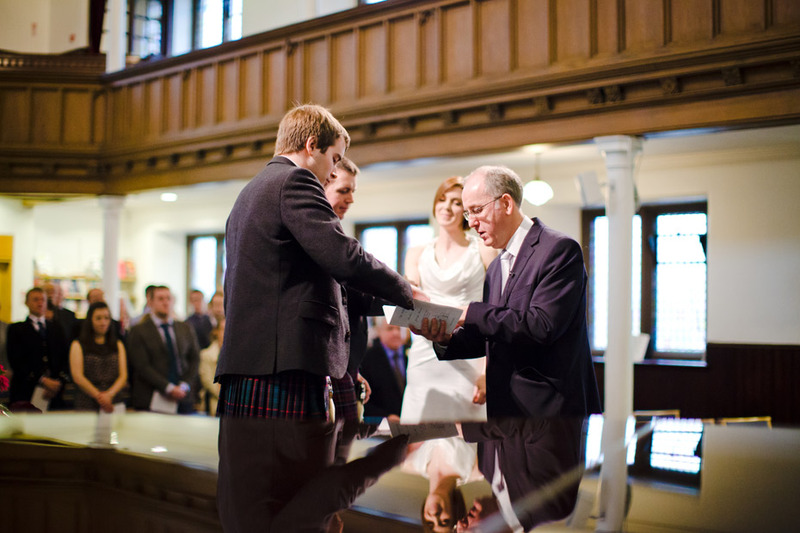 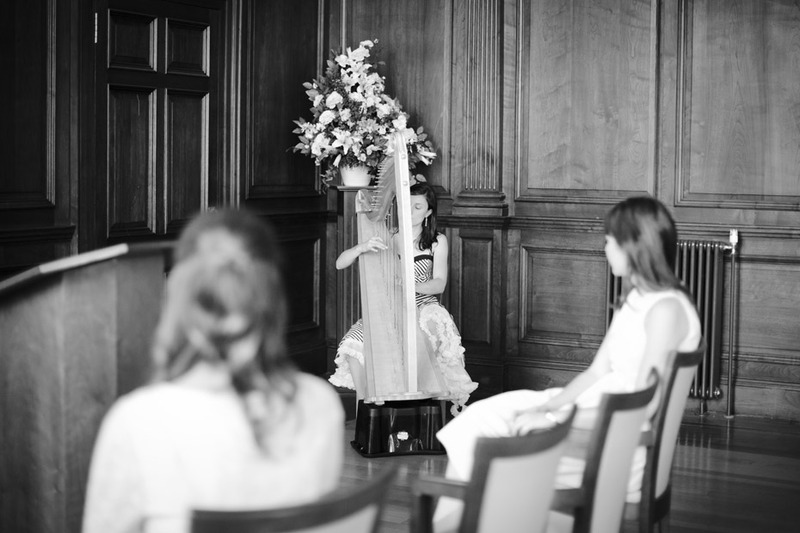 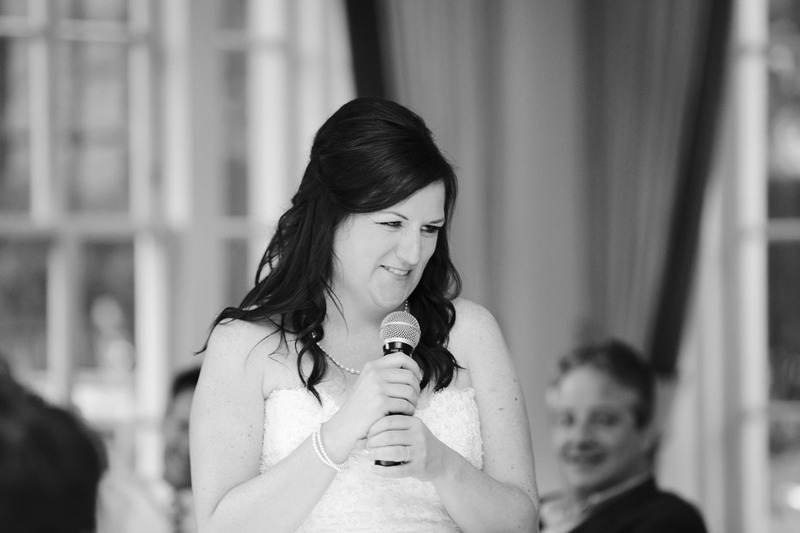 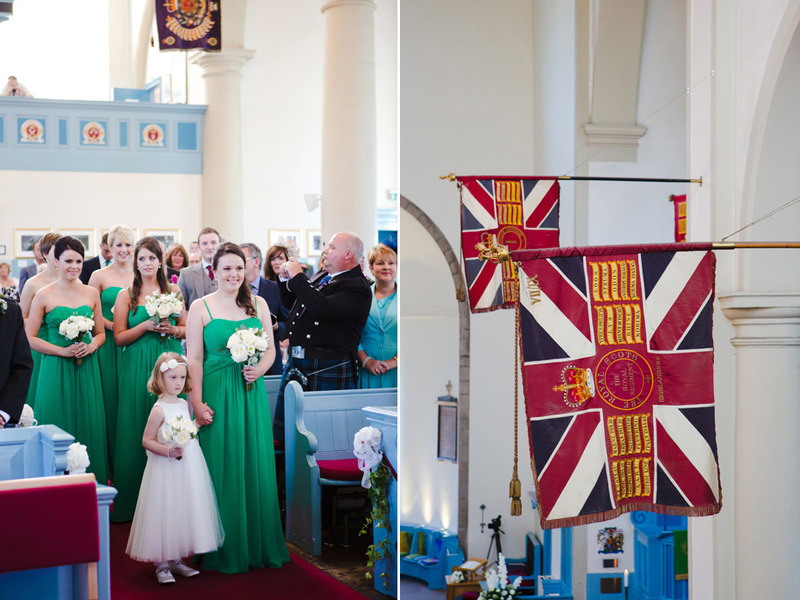 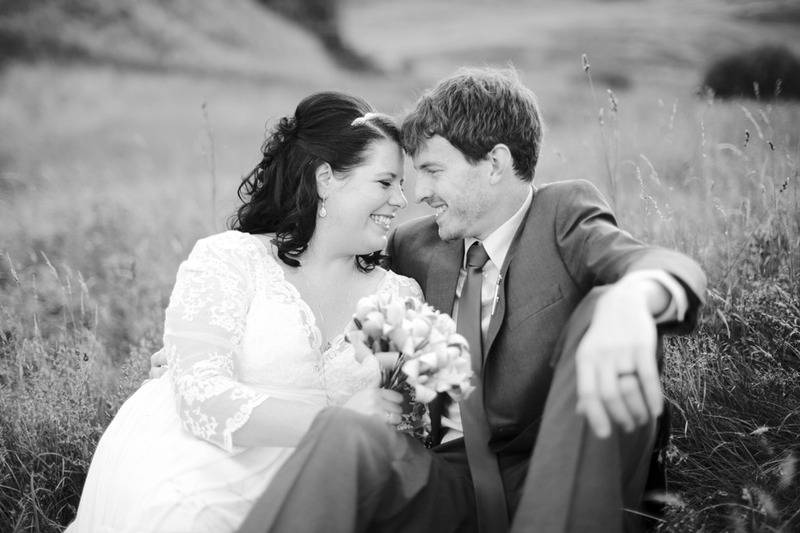 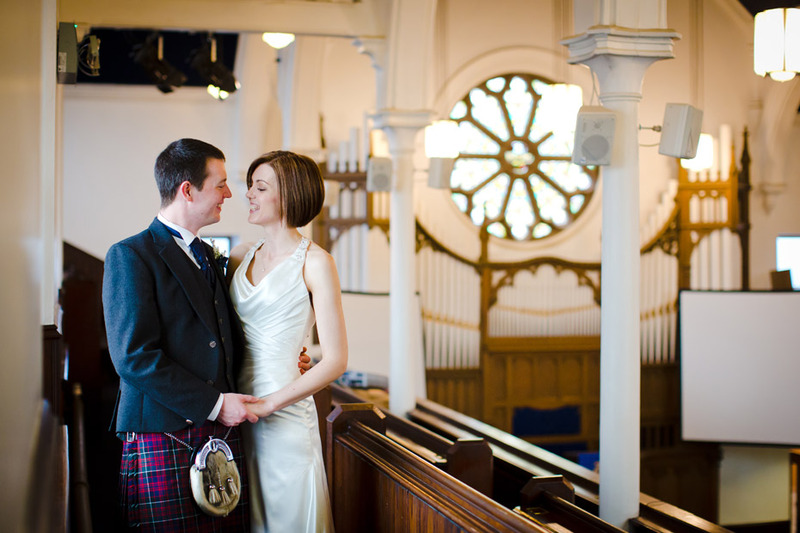 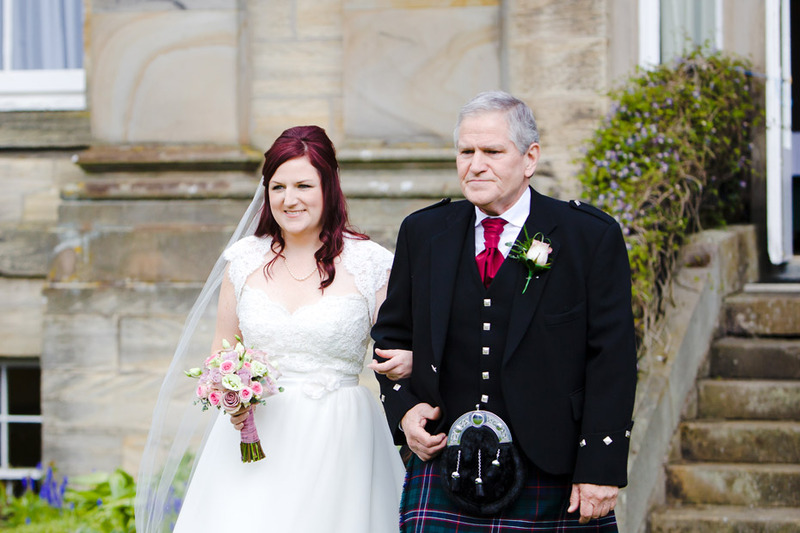 Both Jennifer & Alasdair are musicians so music was at the fore front of their ceremony. 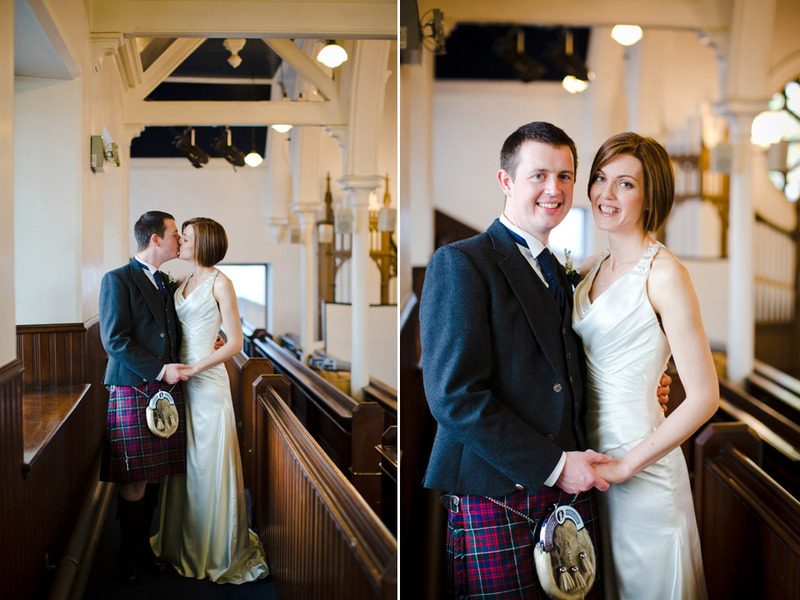 I have to admit, having ever shot in this church before and with rain forecast for the day, I was a little worried about photographic opportunities however I was pleasantly surprised by a large bright interior with floods of natural light. 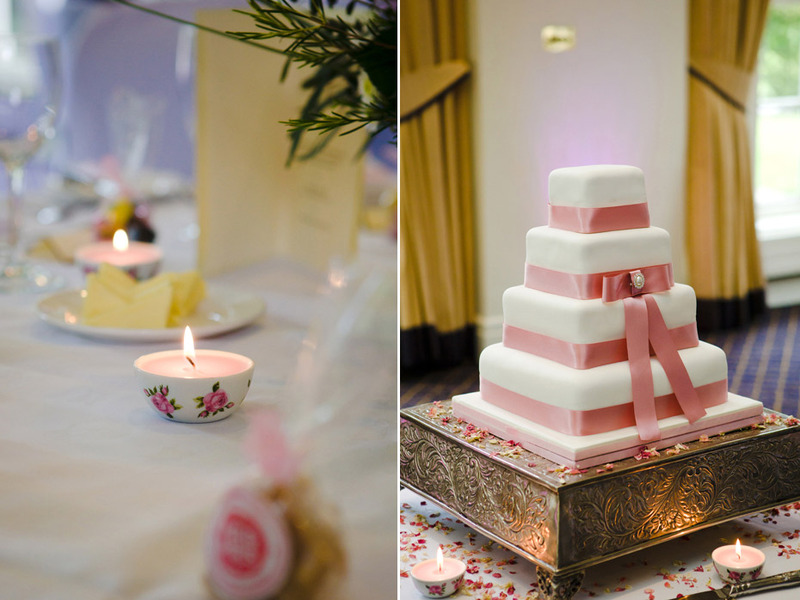 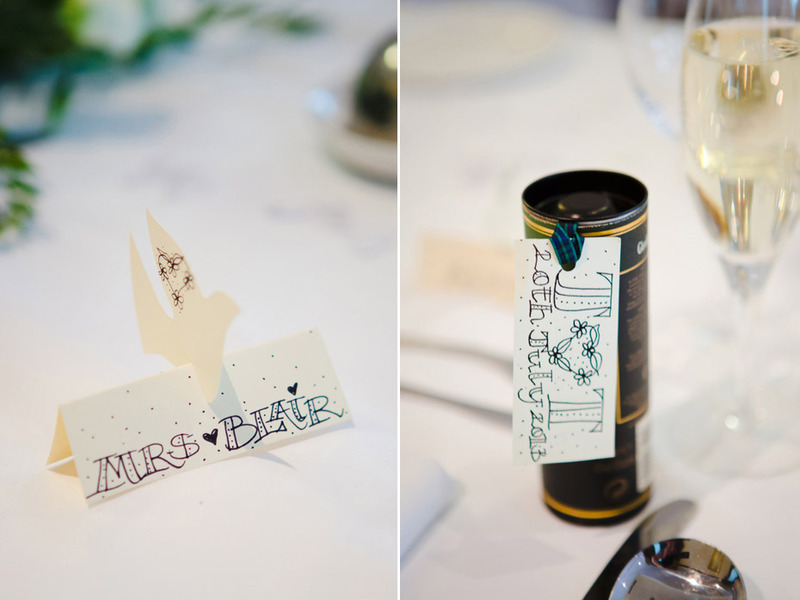 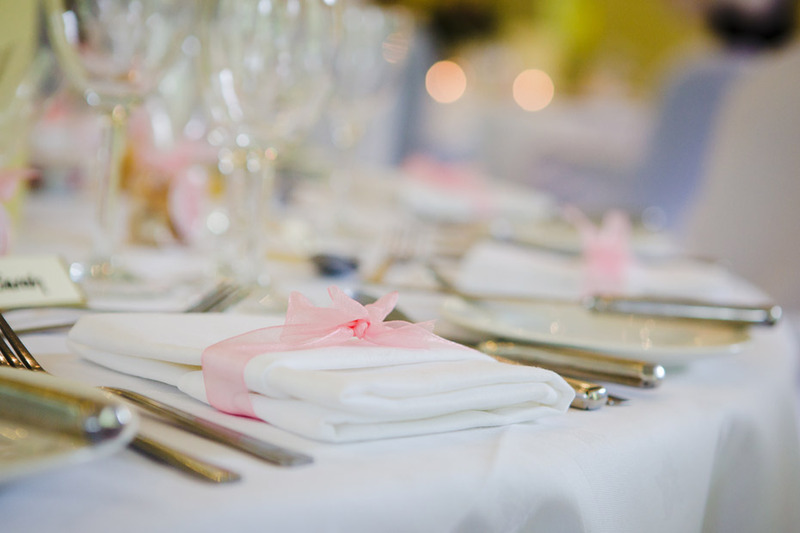 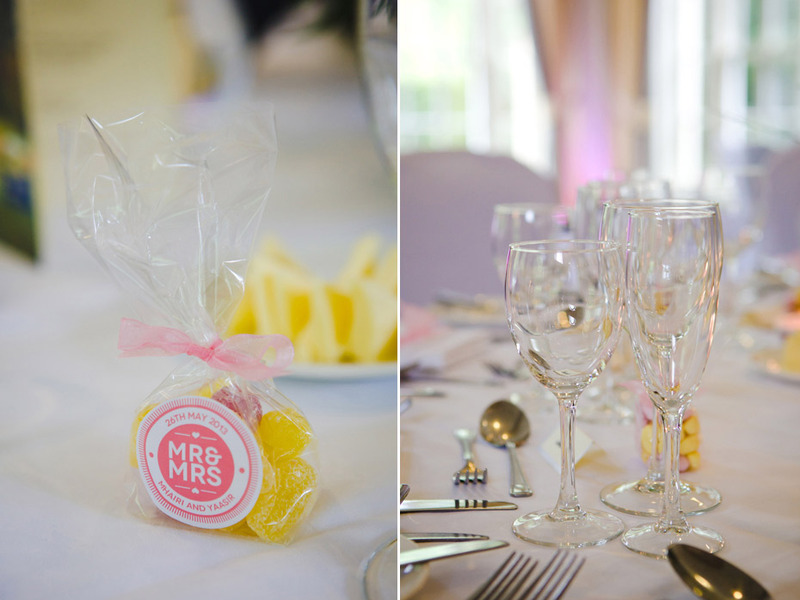 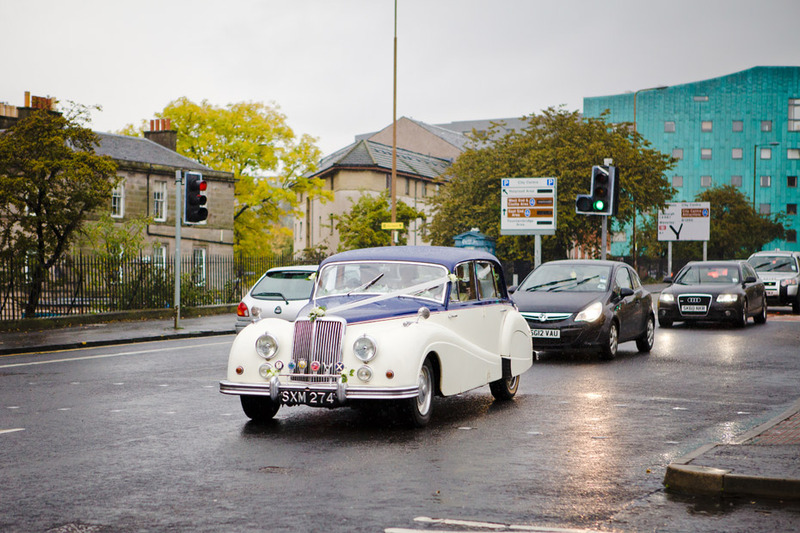 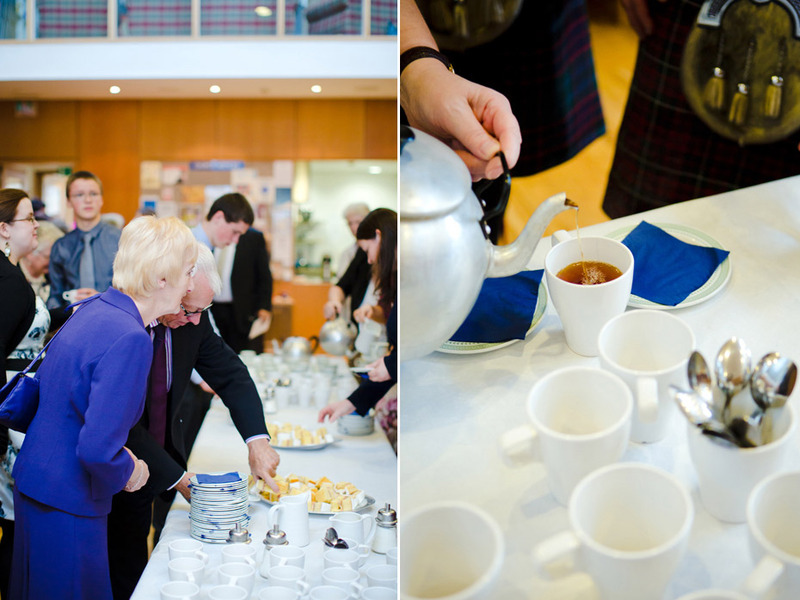 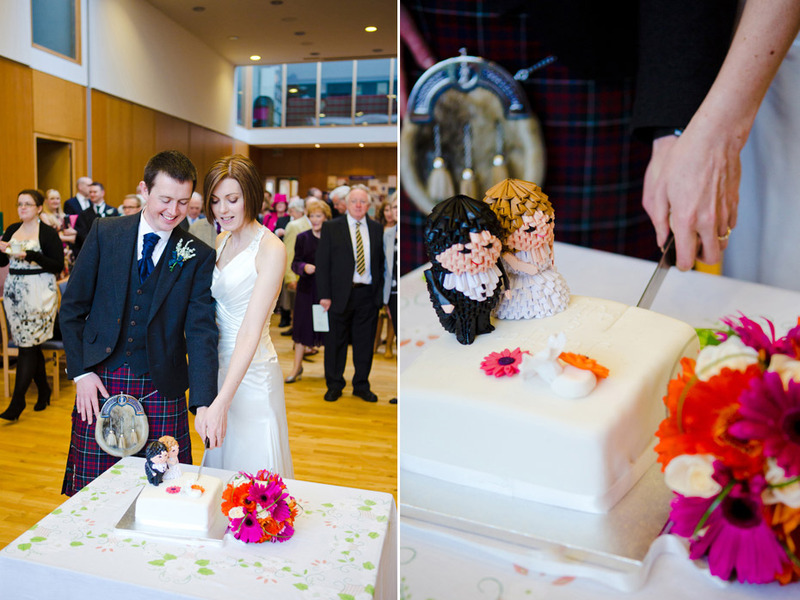 The ceremony was followed by a ‘tea & cake’ reception before the couple set off for a meal with their families. 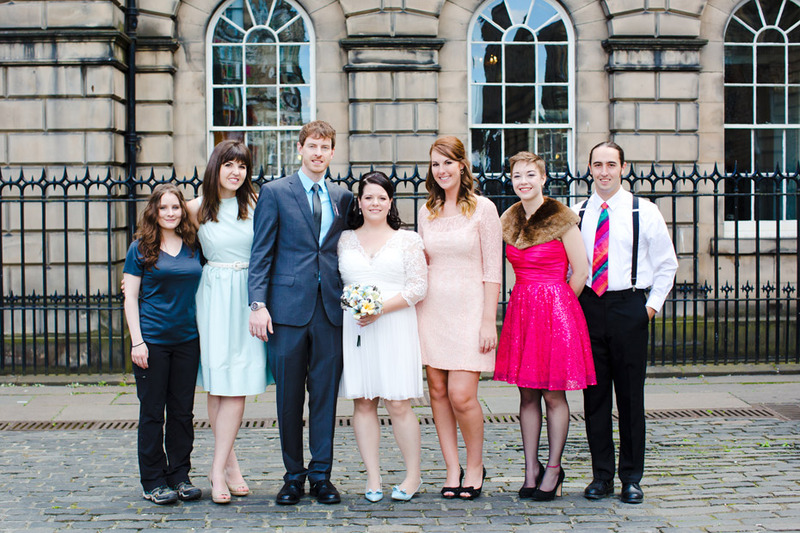 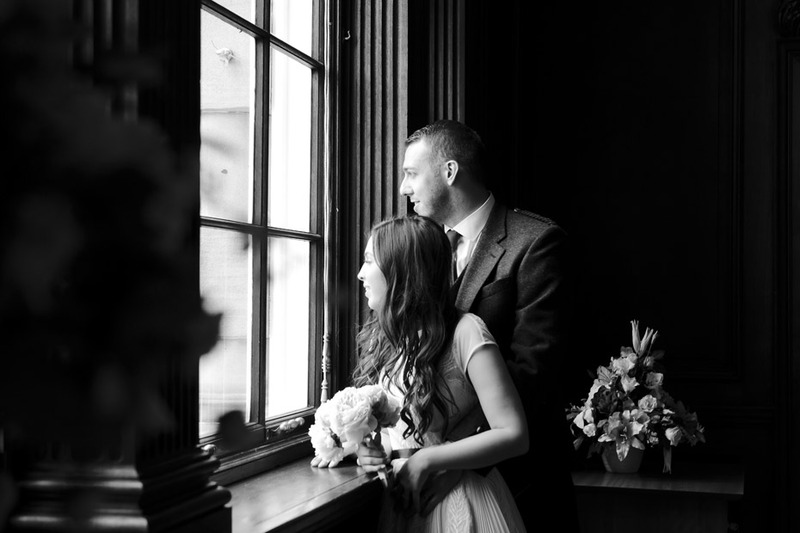 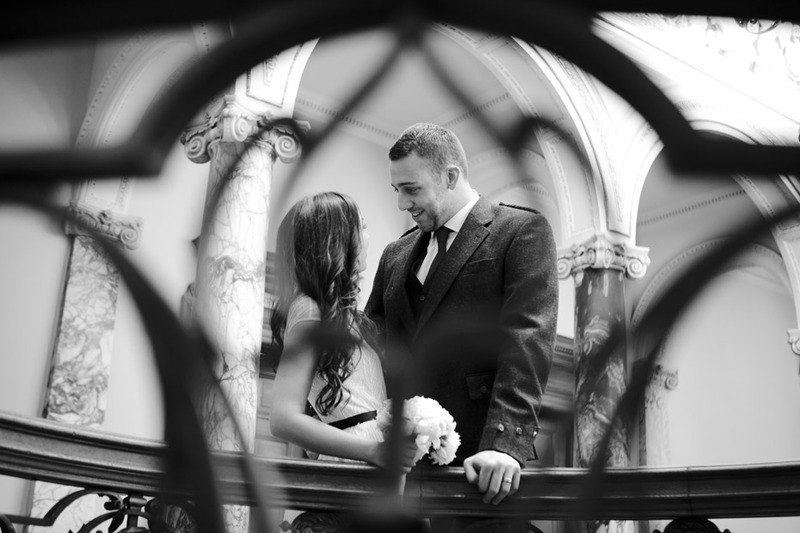 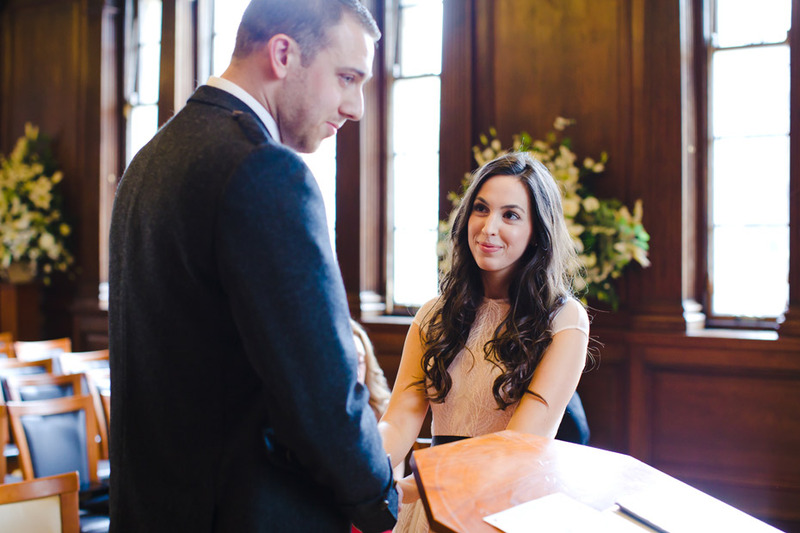 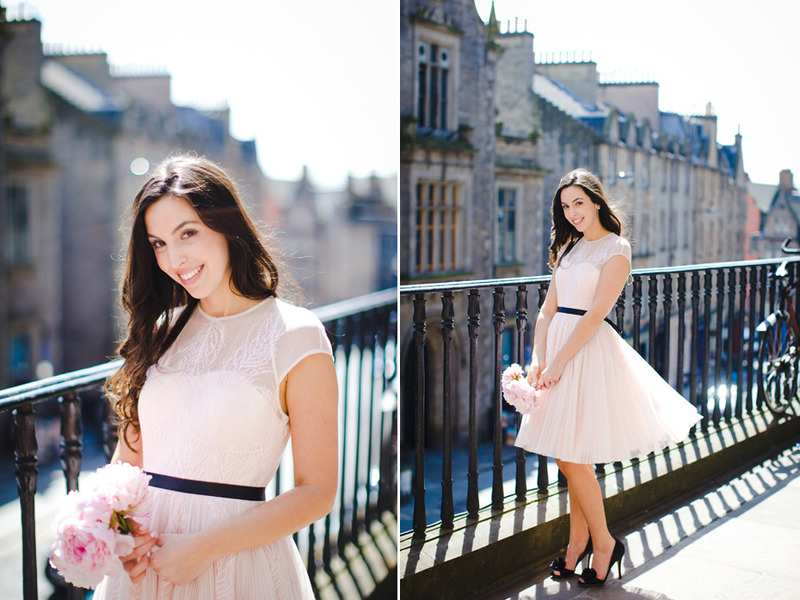 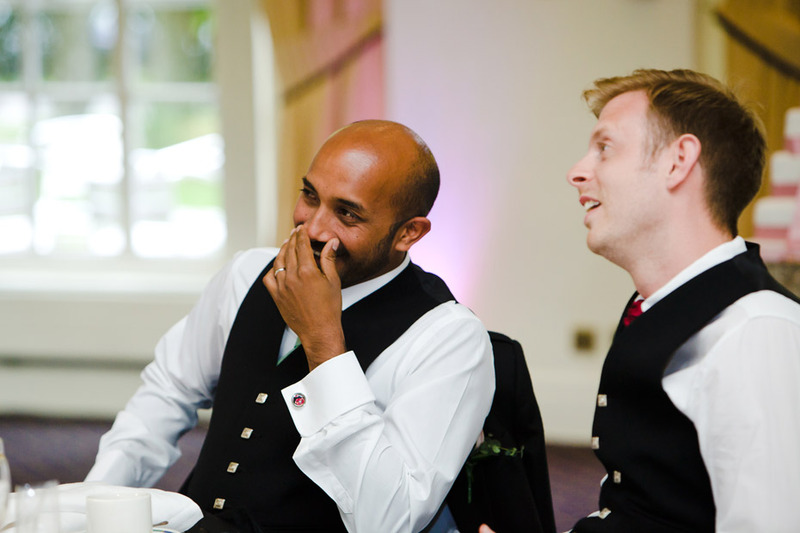 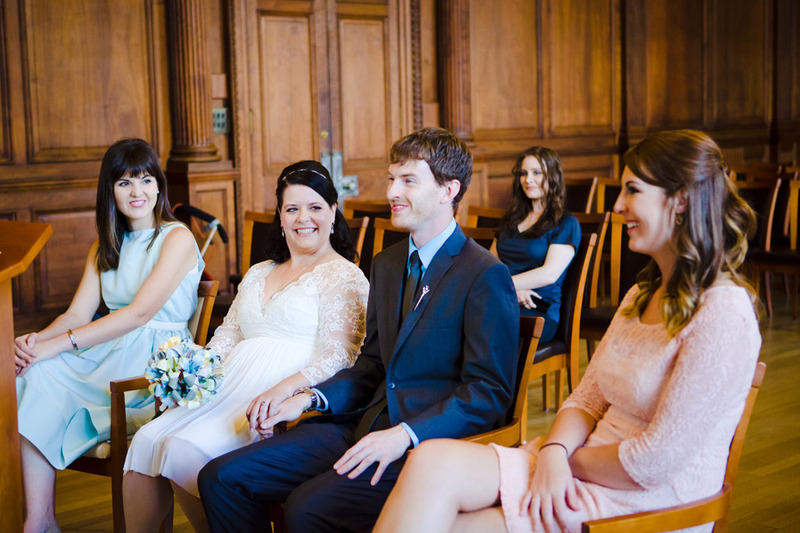 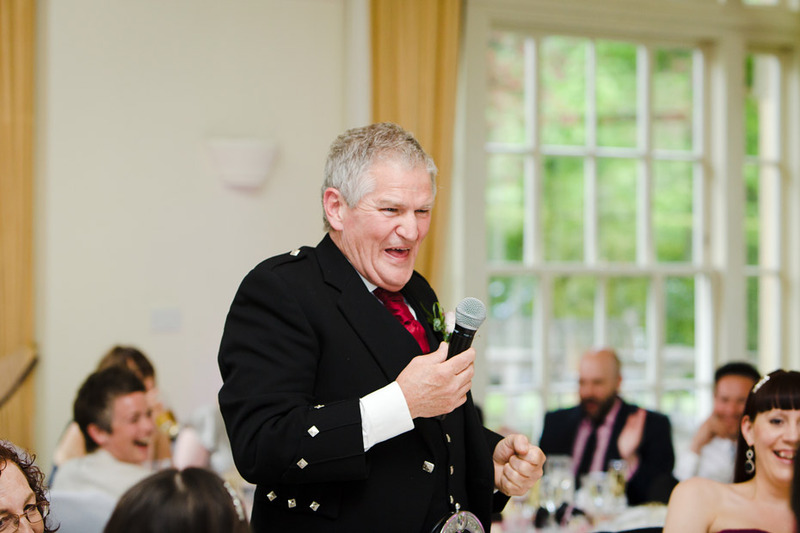 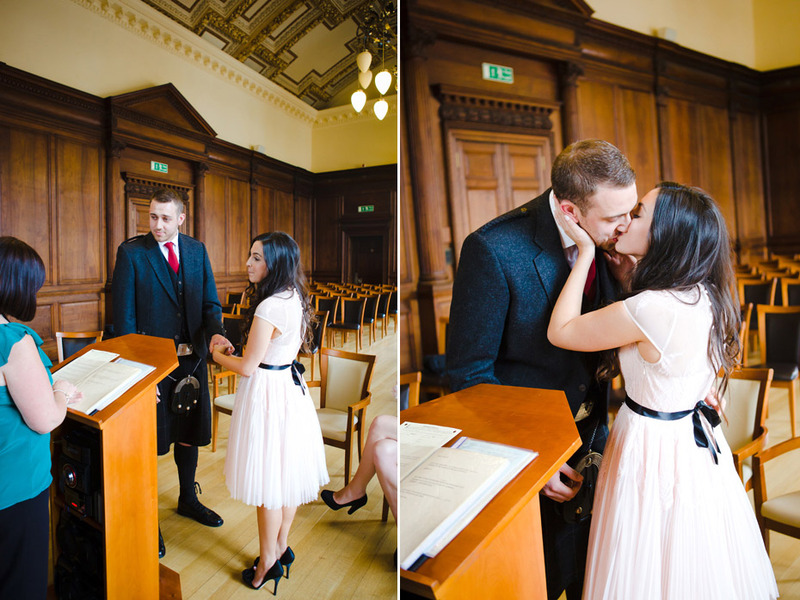 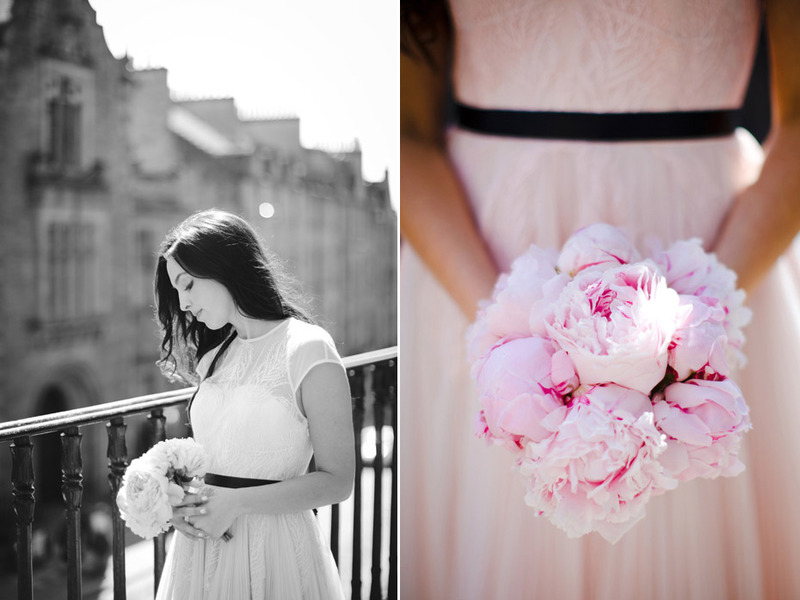 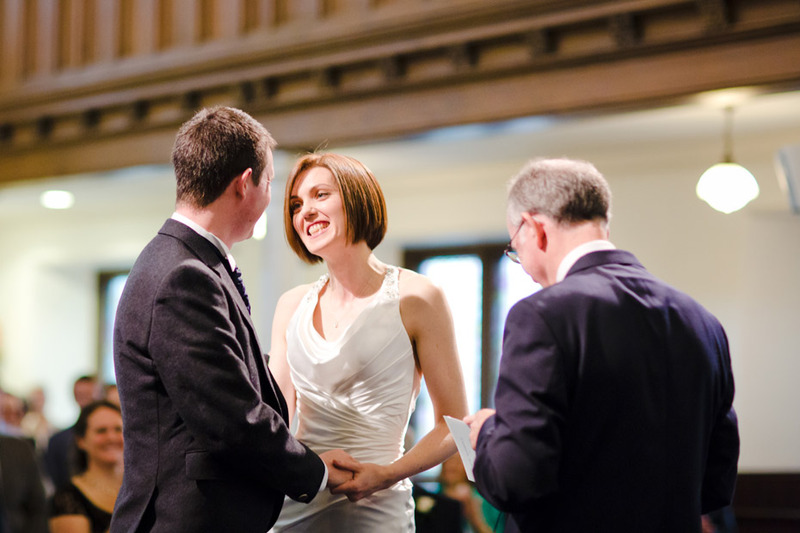 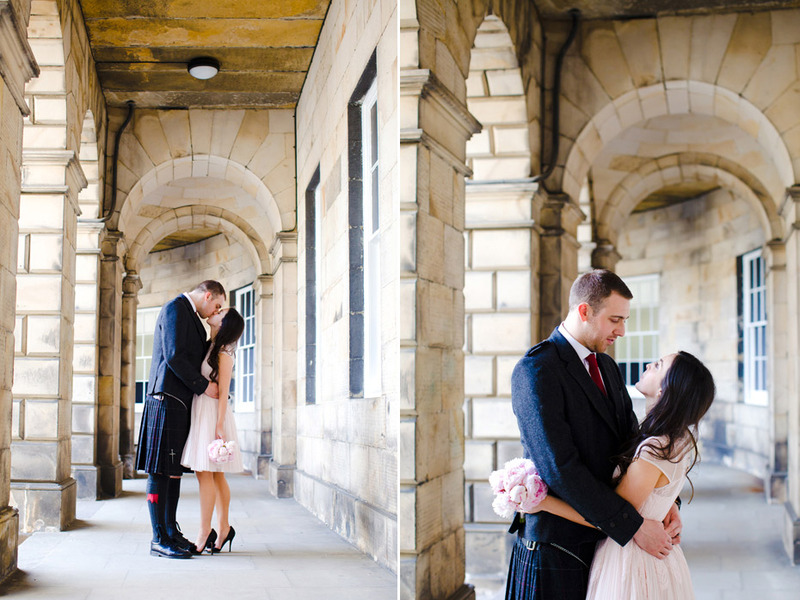 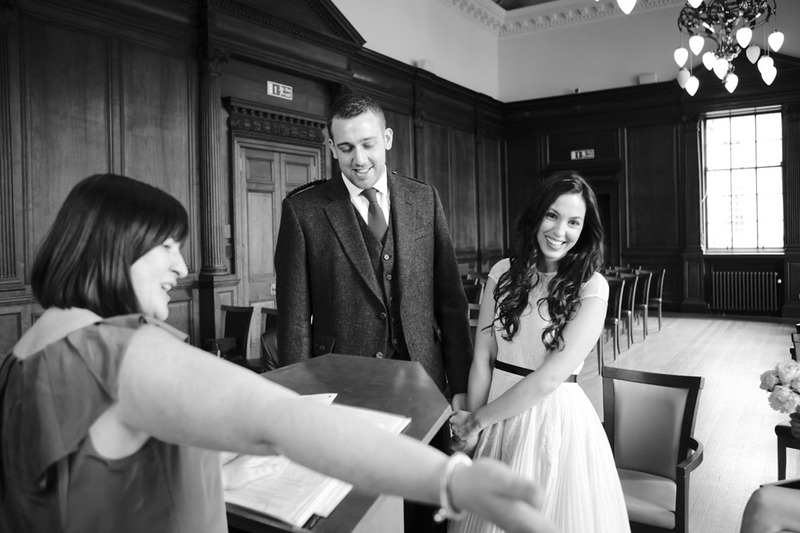 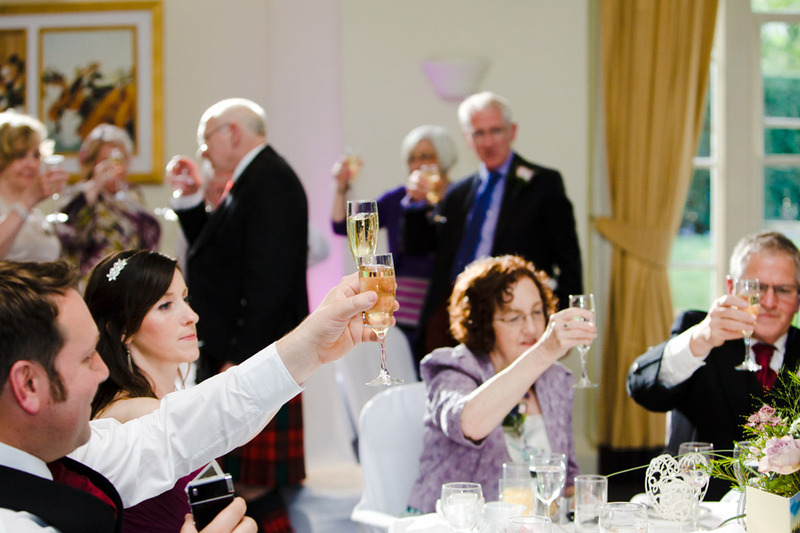 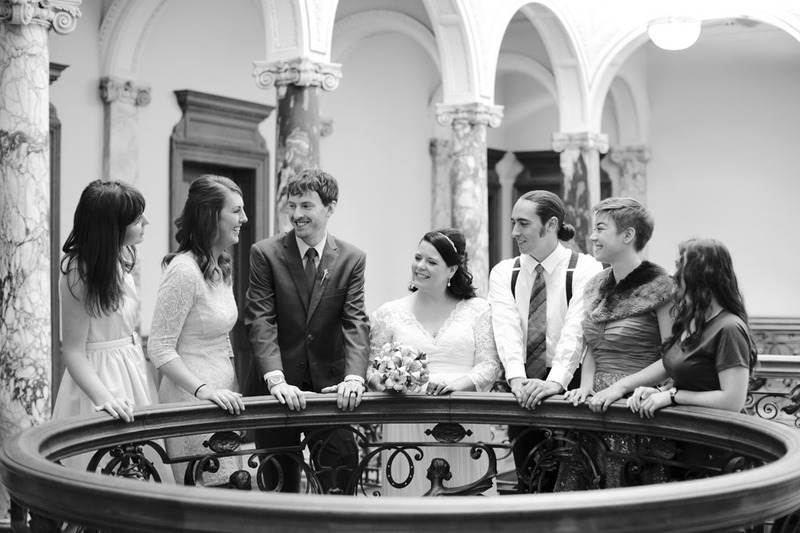 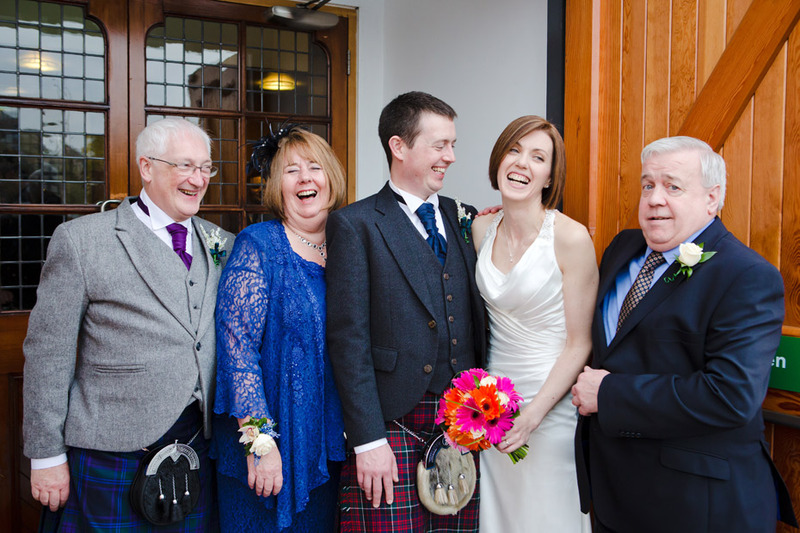 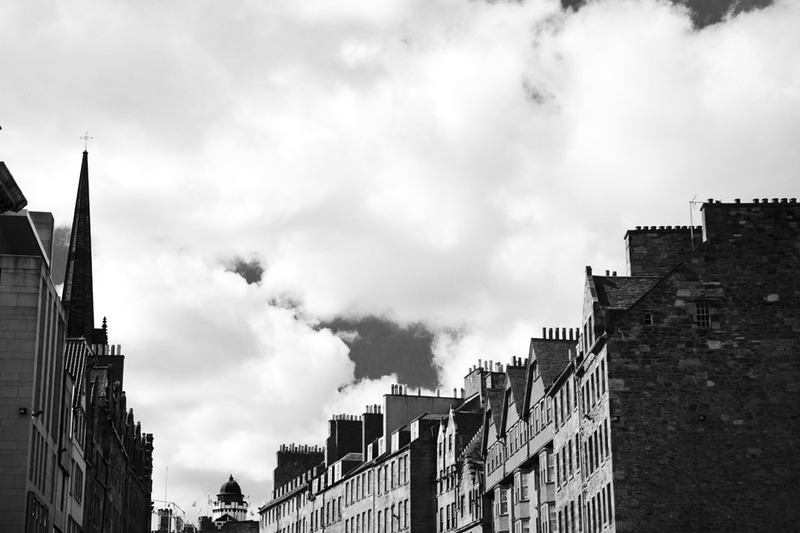 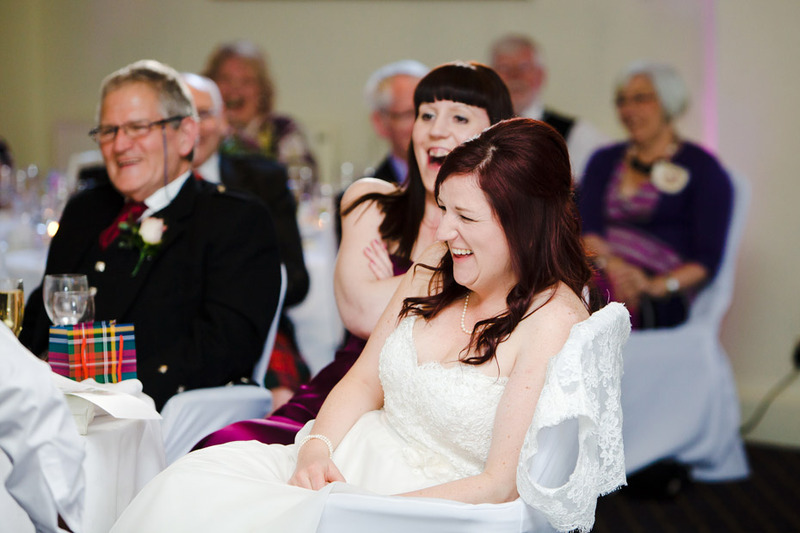 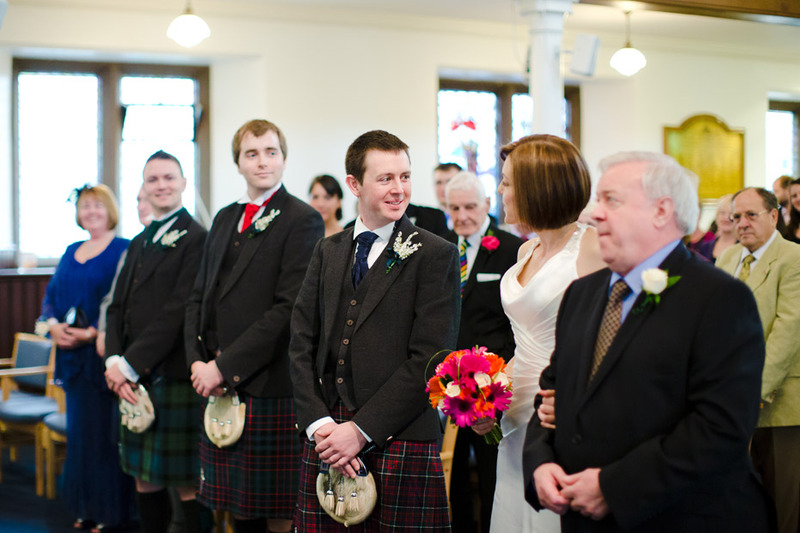 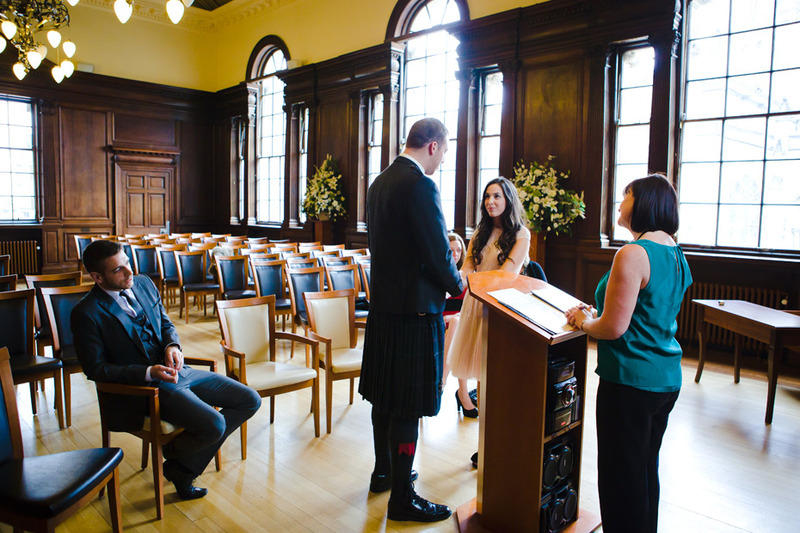 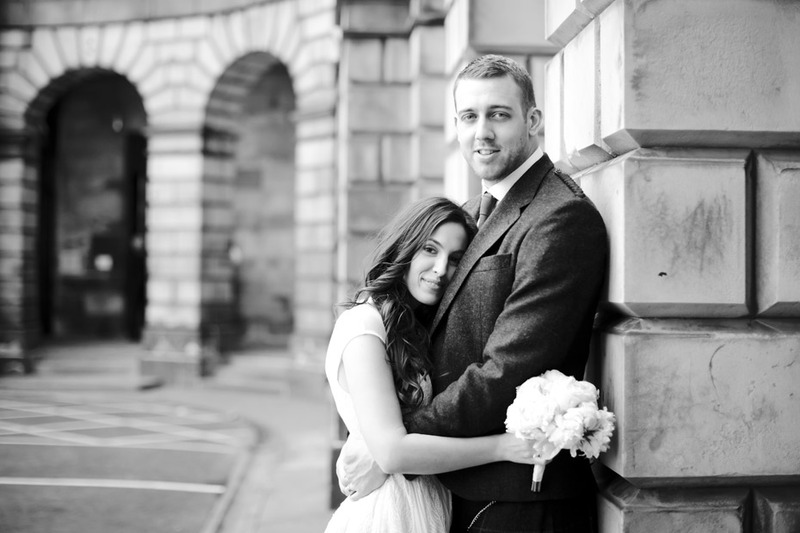 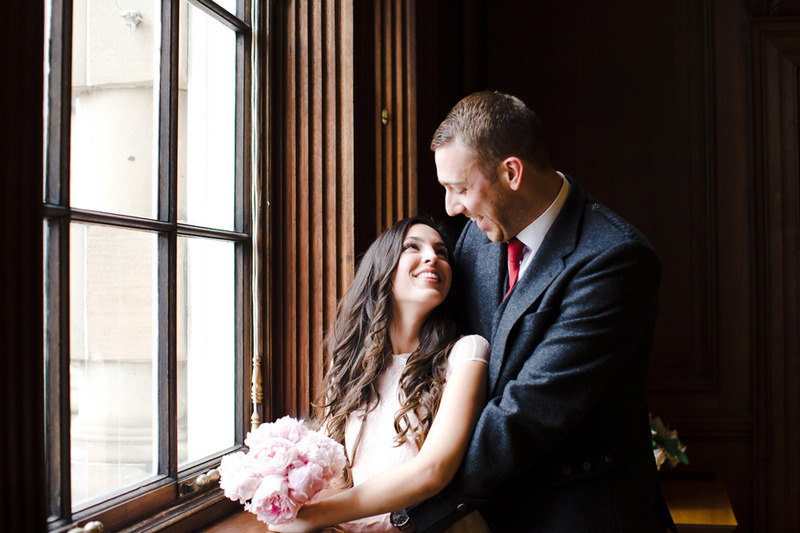 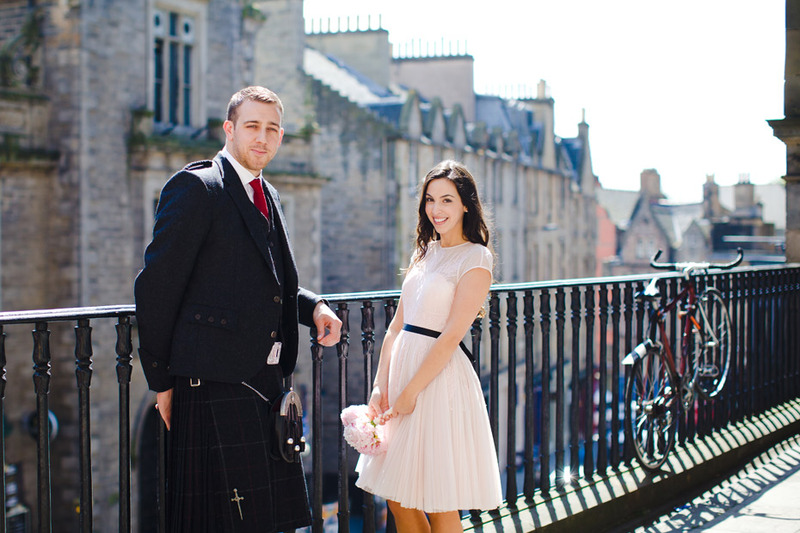 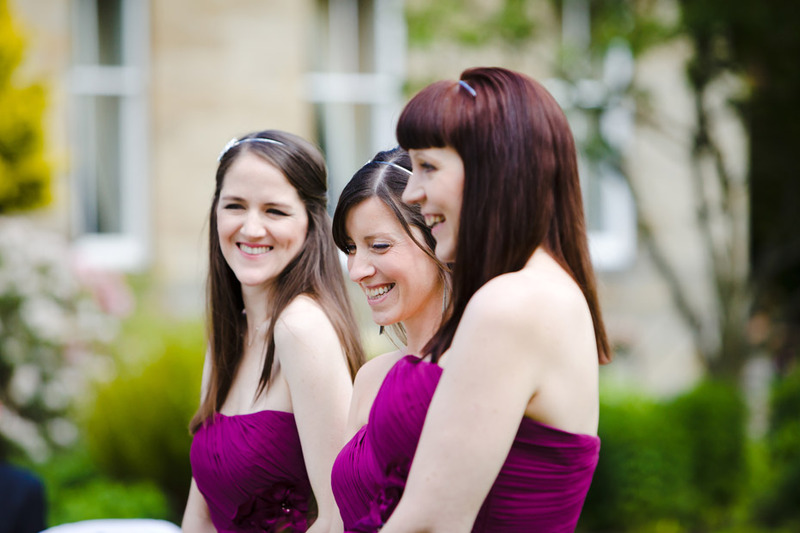 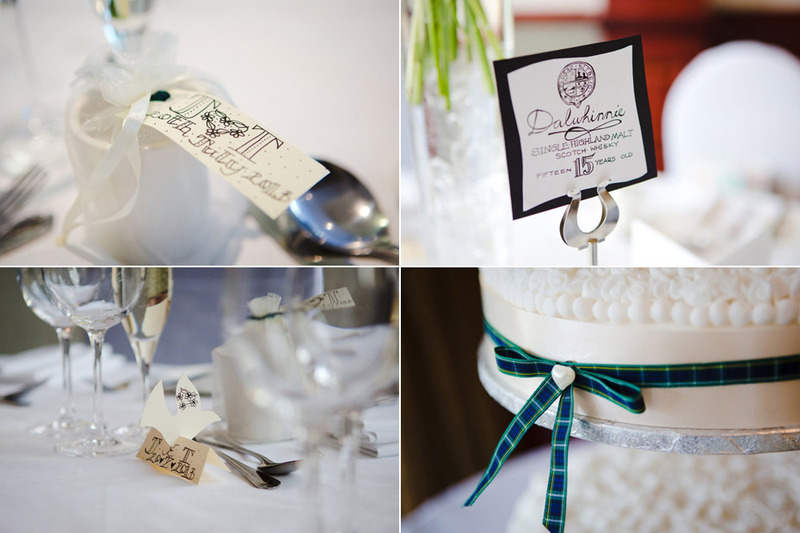 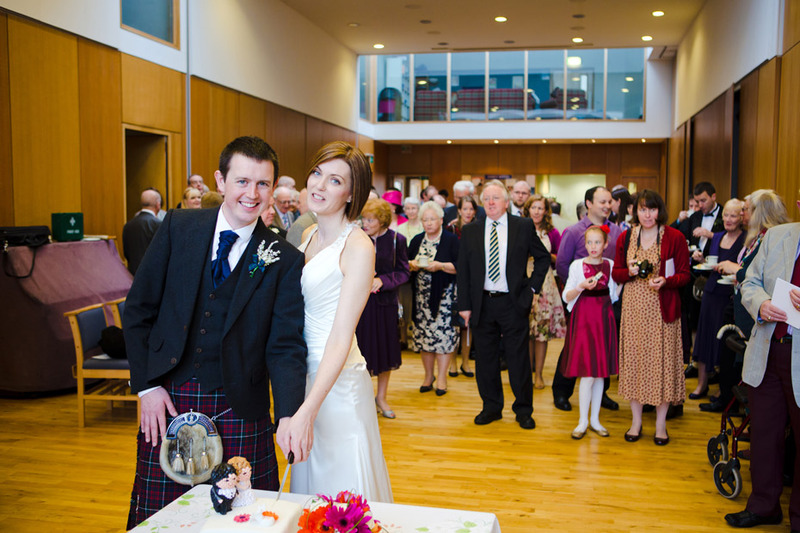 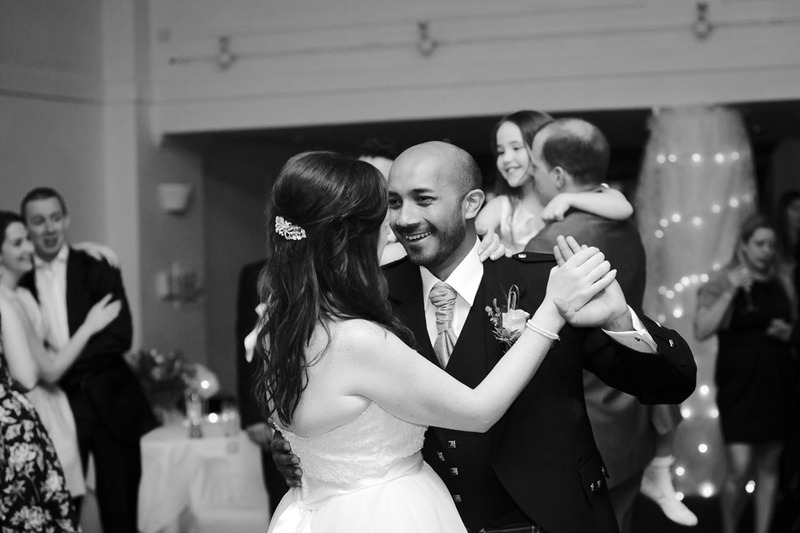 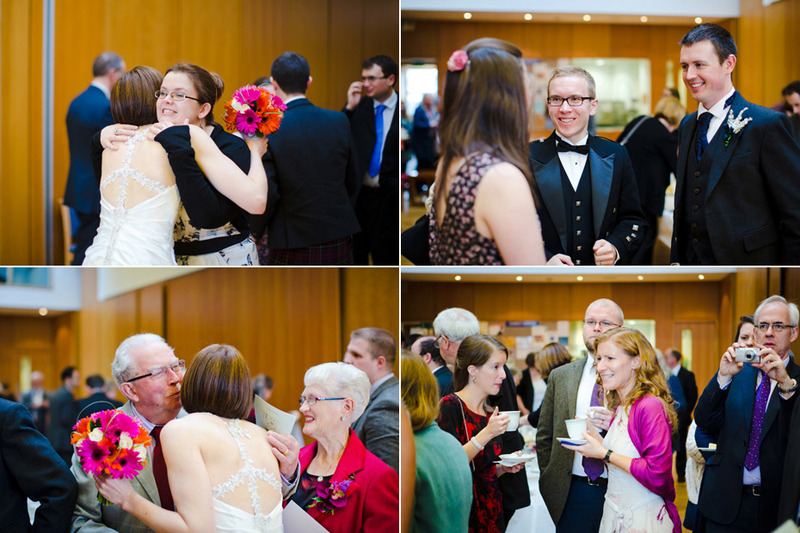 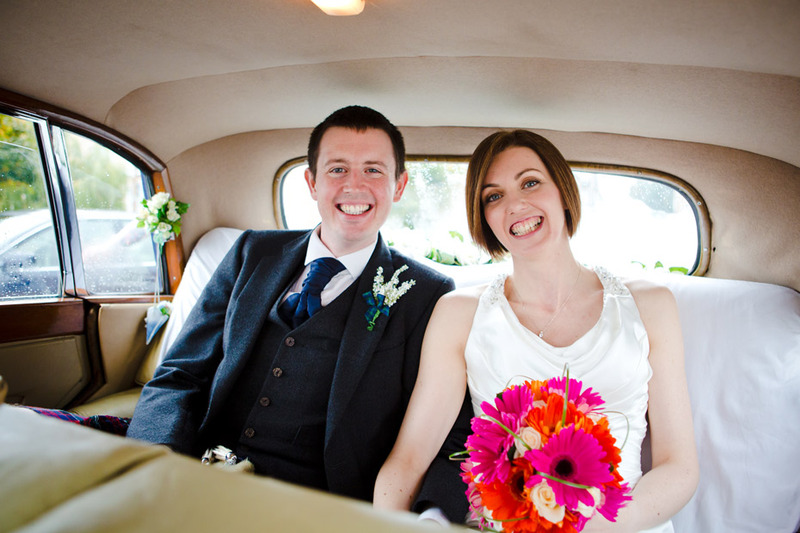 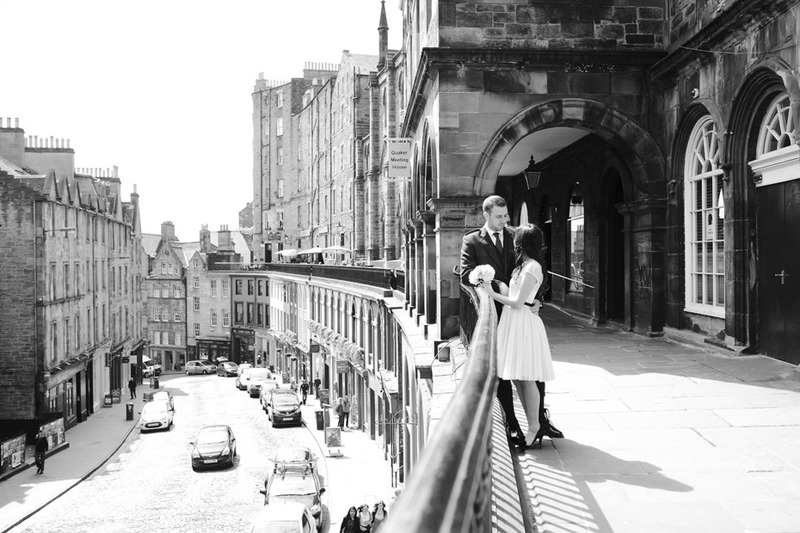 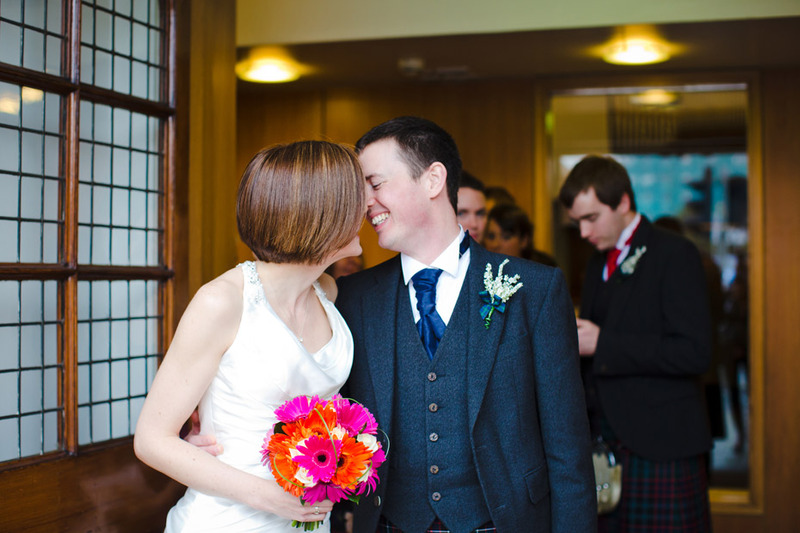 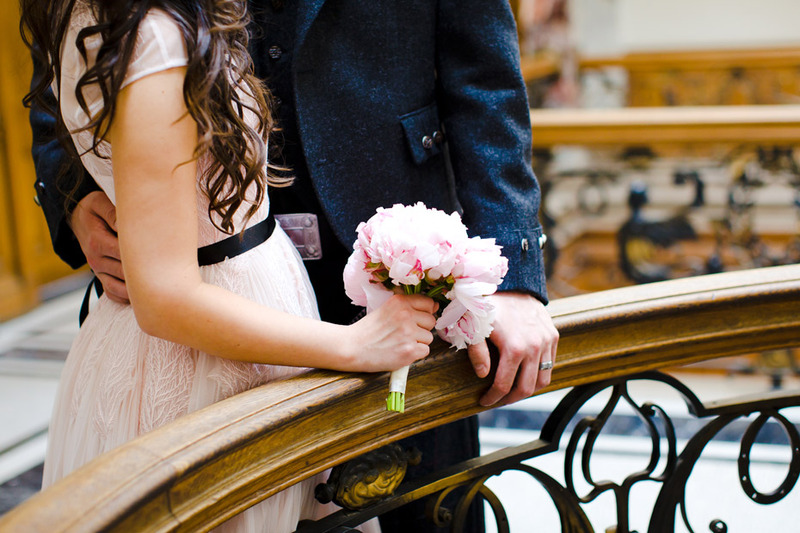 Shannon & Stuart tied the knot at Edinburgh’s Lothian Chambers. 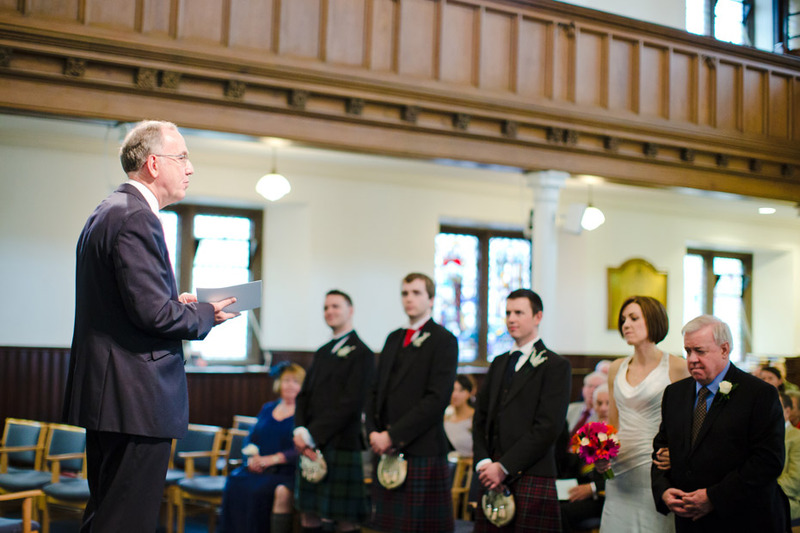 Shannon is from the States and with her family unable to attend they opted for a small ceremony with just a few members of Stuart’s family present. 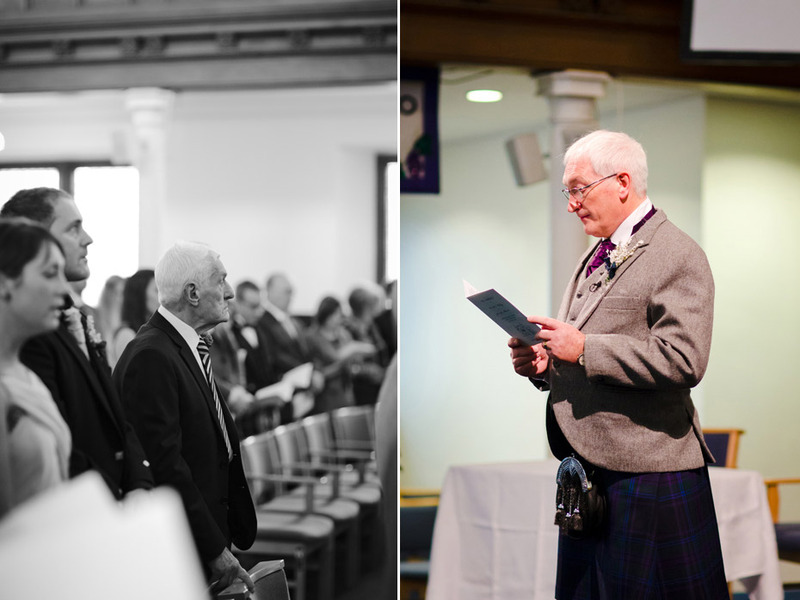 After having viewed my recent wedding of Maureen & Keith at the Lothian Chambers Shannon & Stuart knew they wanted a similar set of images. 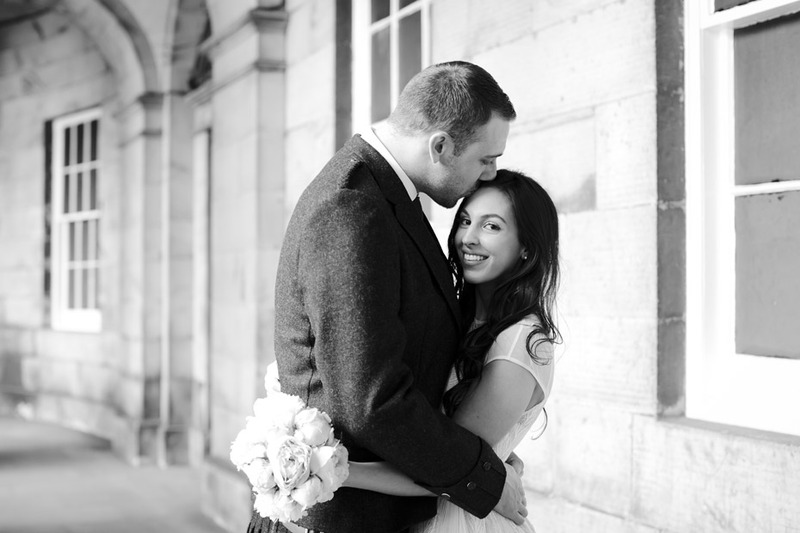 It was a joy to photograph this lovely couple as we explored Edinburgh’s most scenic areas, the Royal Mile, Princes Street gardens and Arthurs Seat. 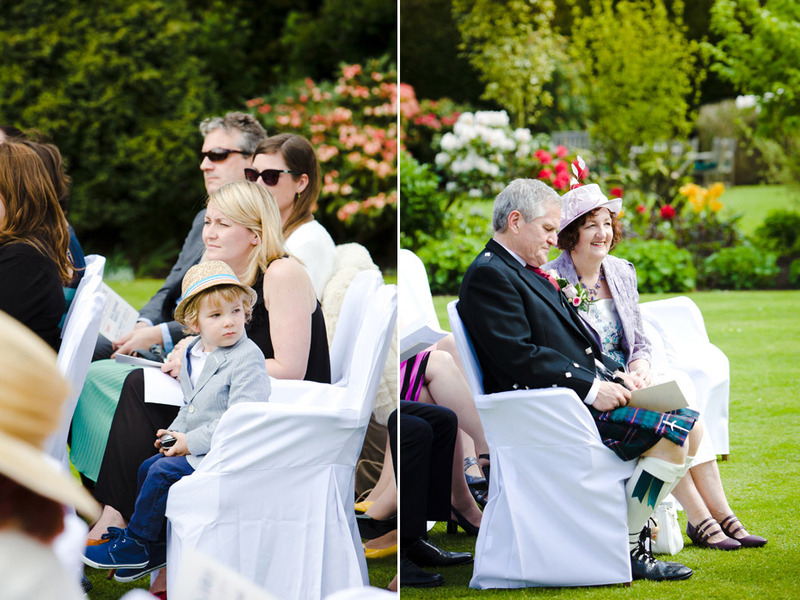 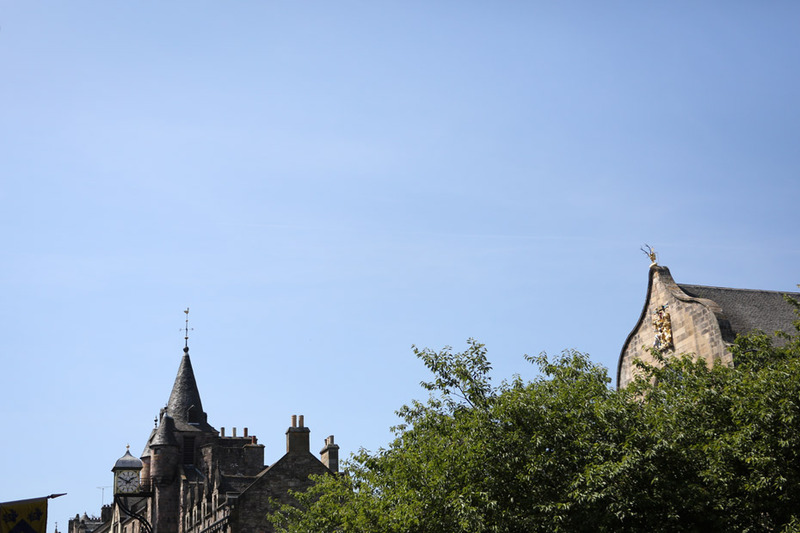 The weather was on our side and it was a lovely day with Princes Street Gardens in full bloom. 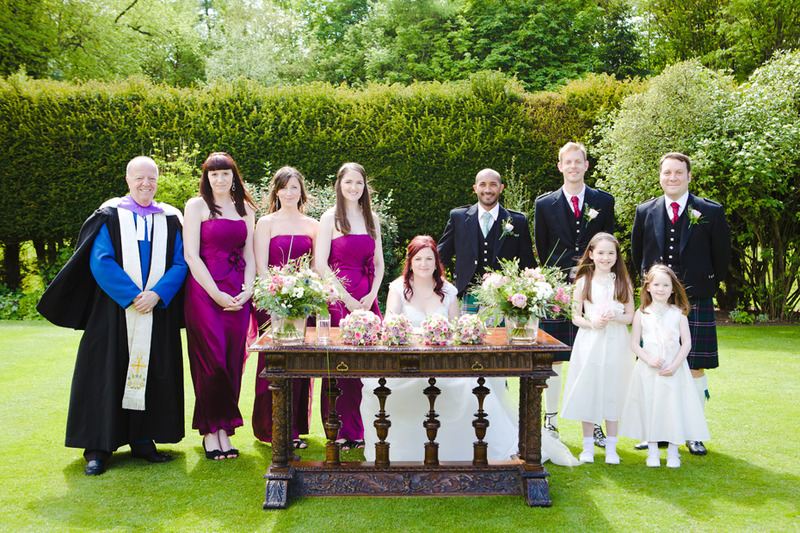 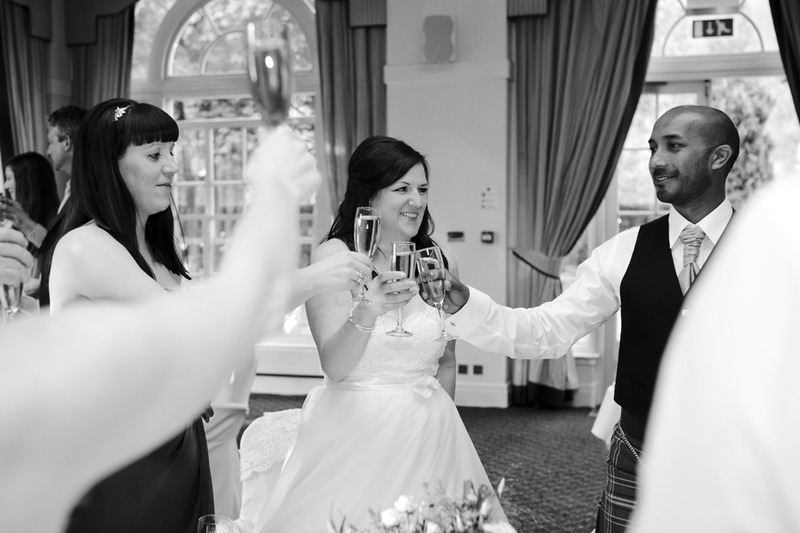 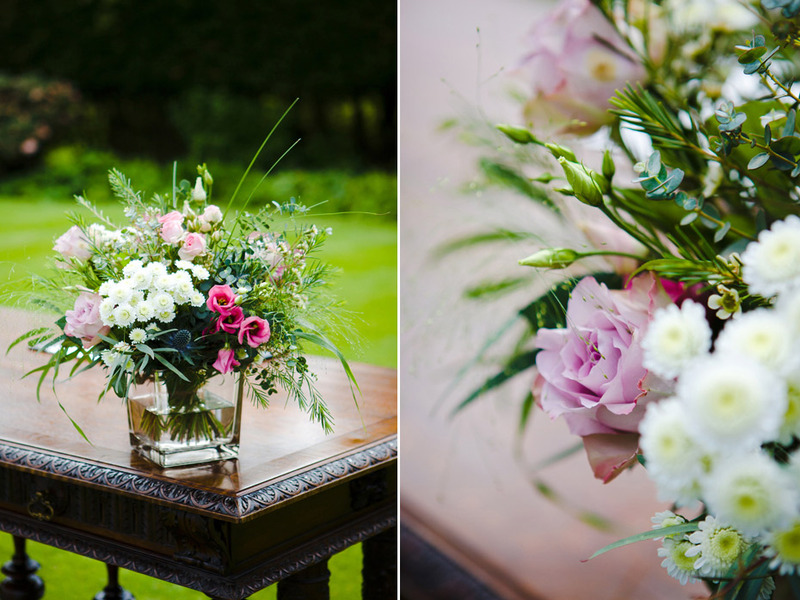 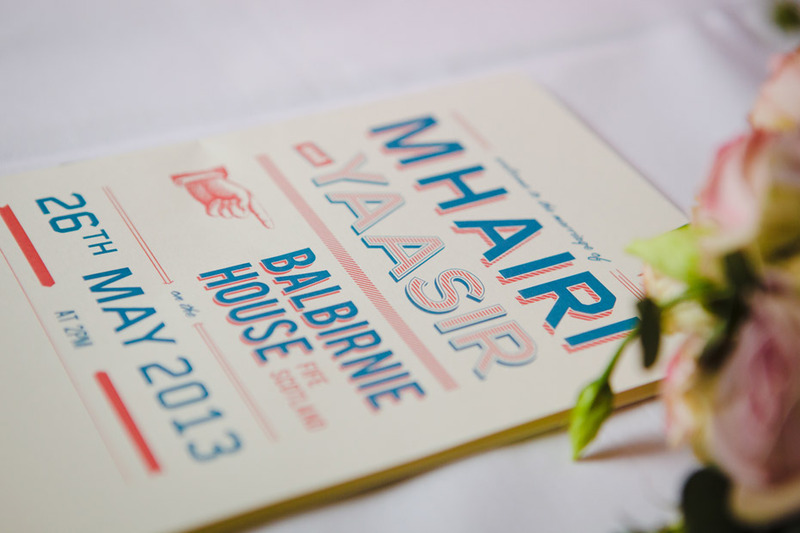 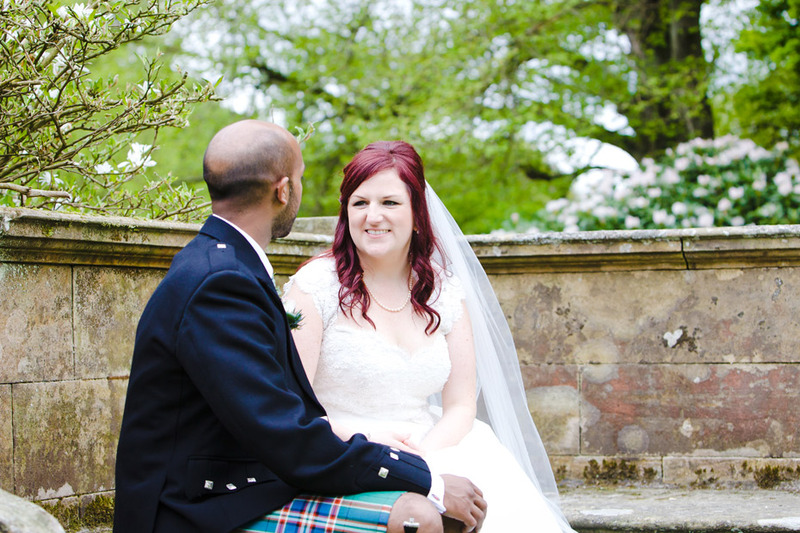 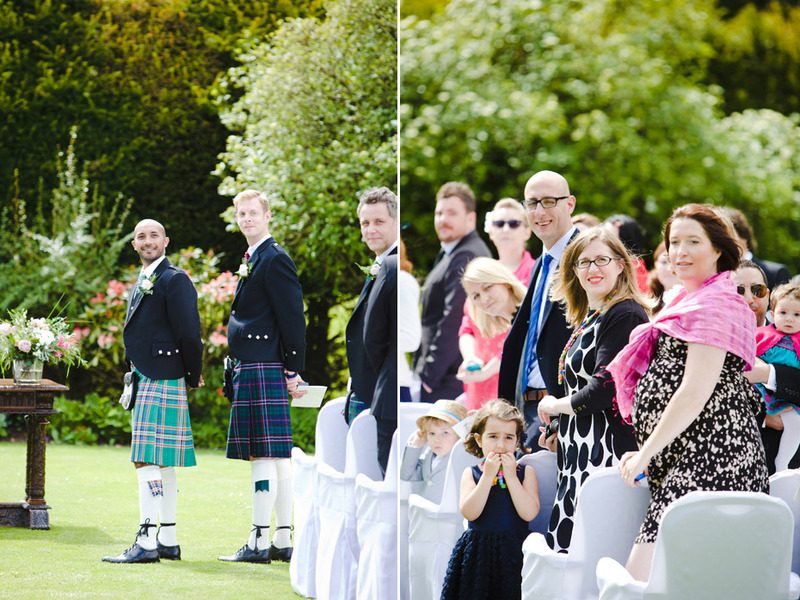 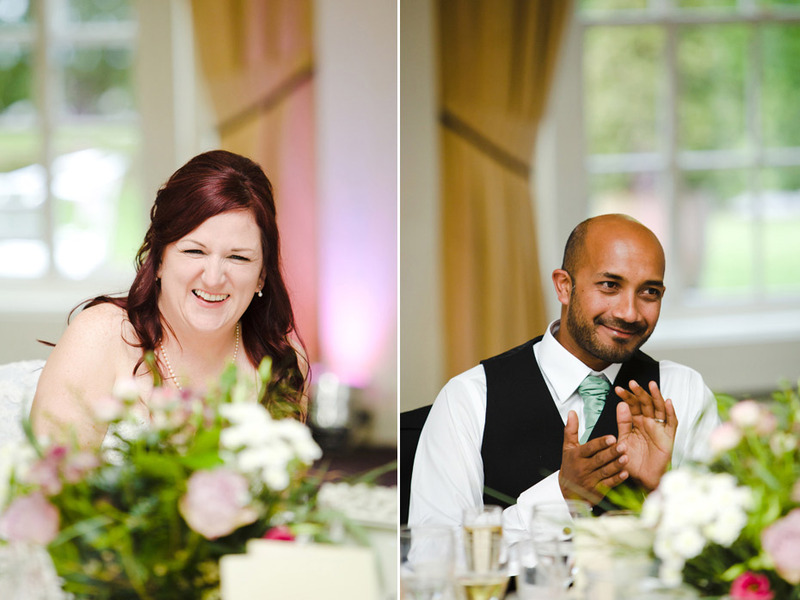 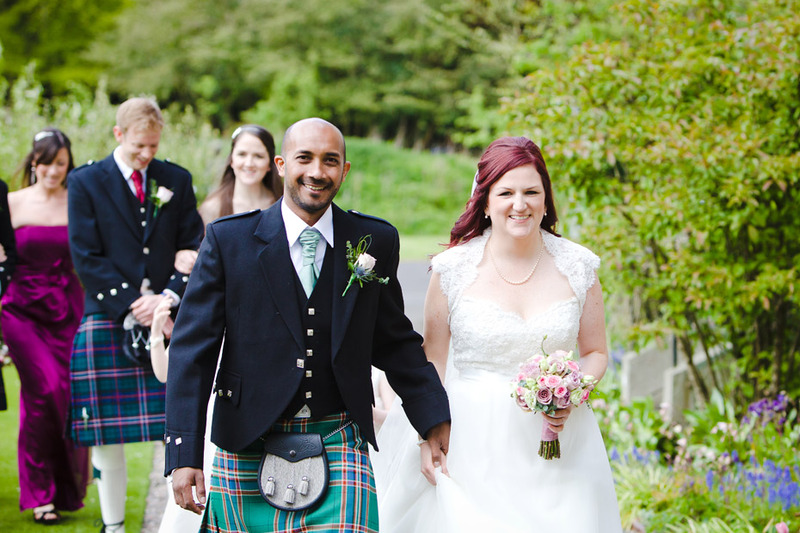 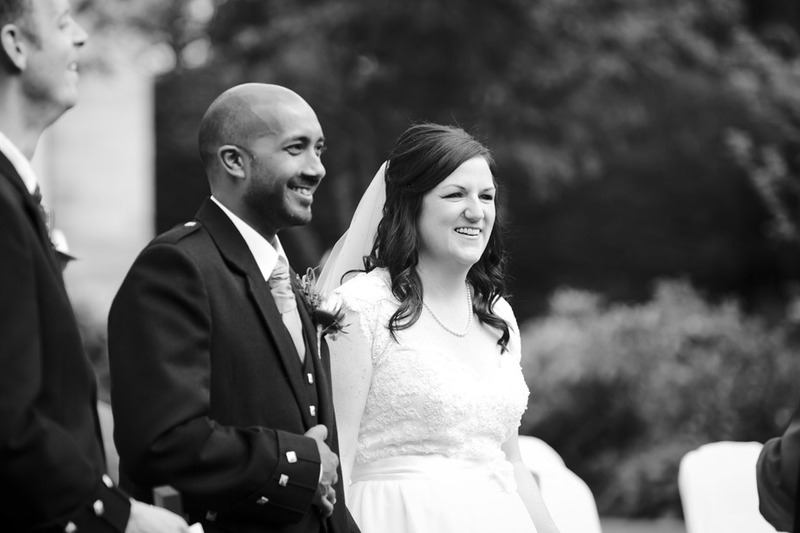 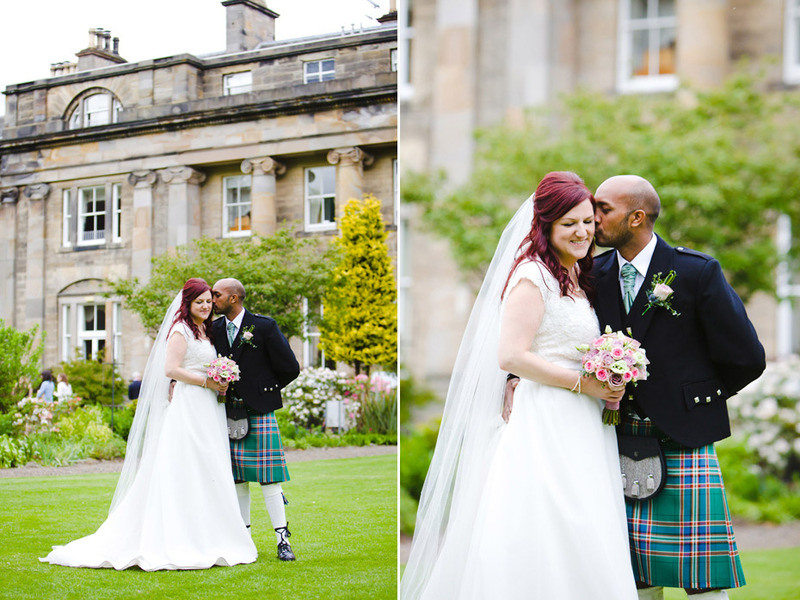 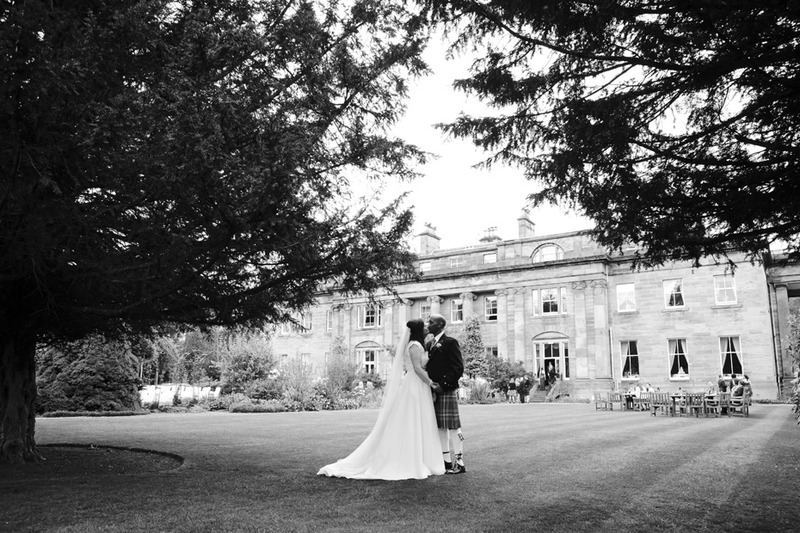 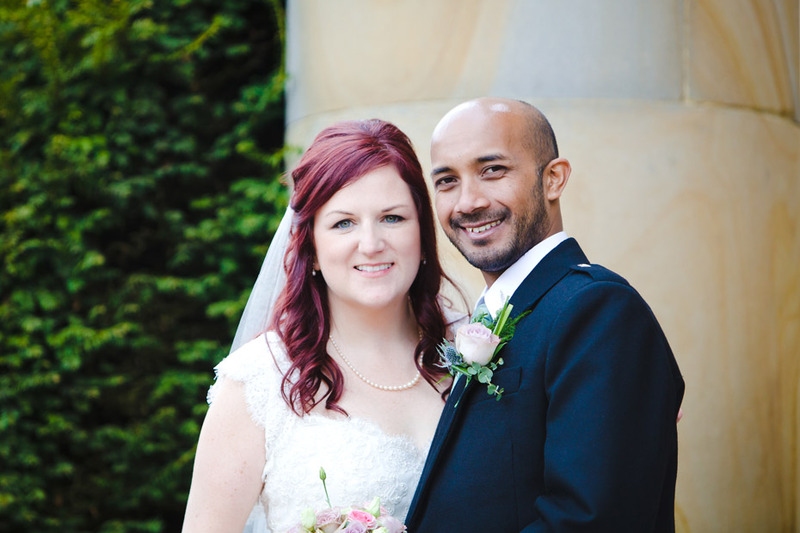 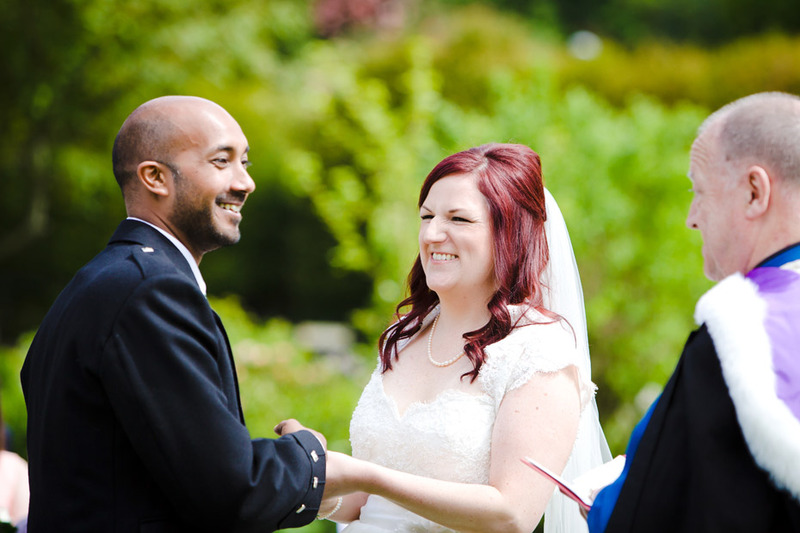 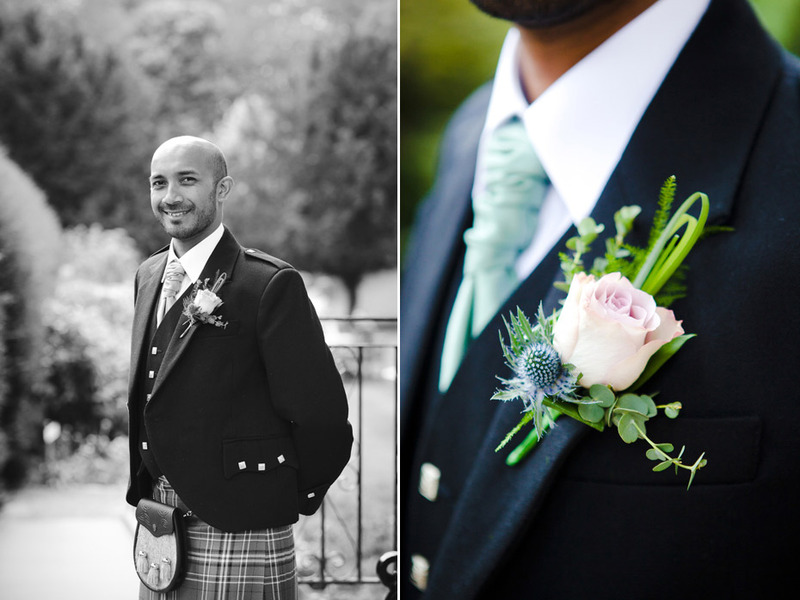 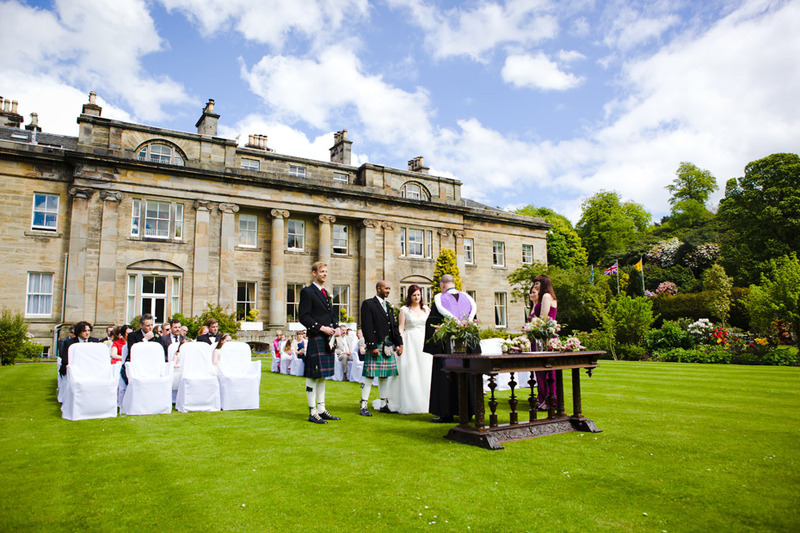 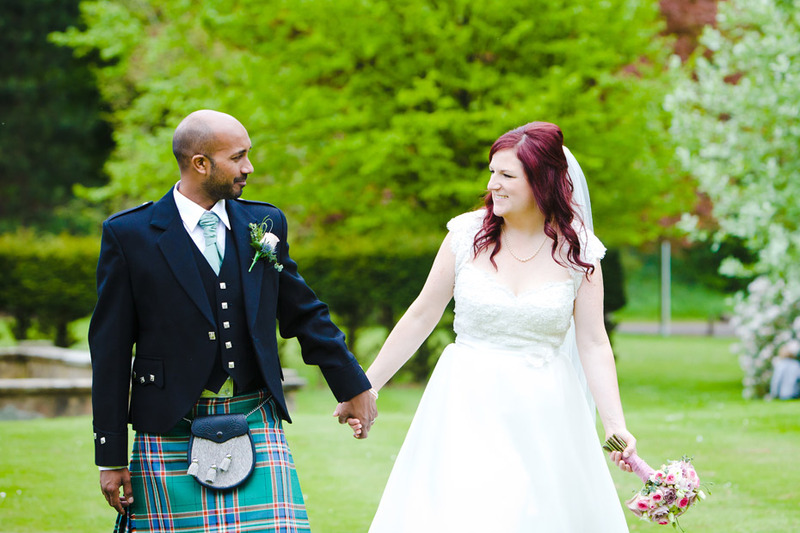 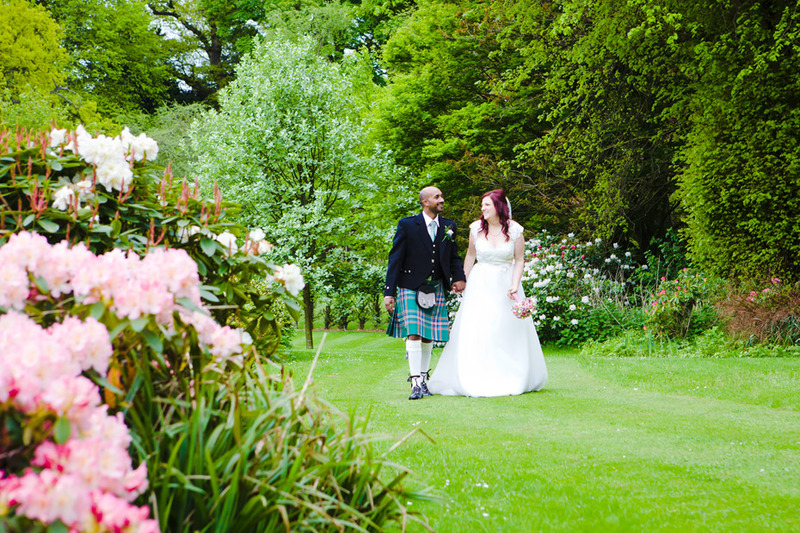 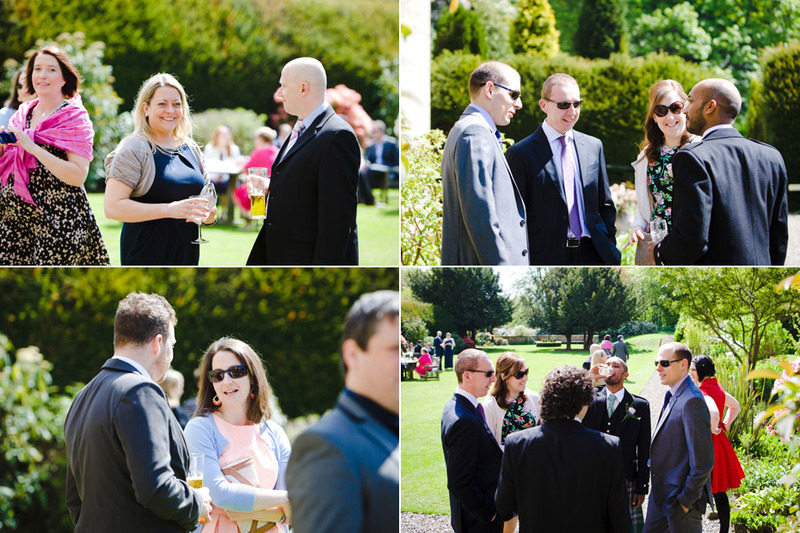 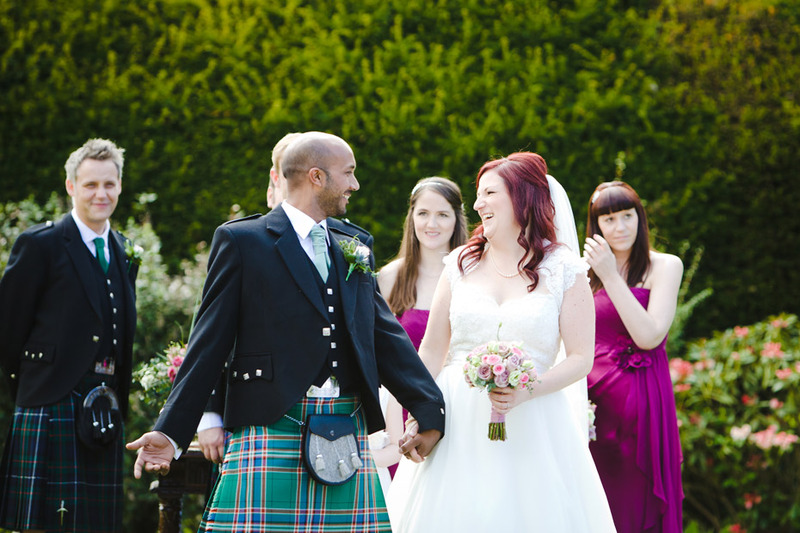 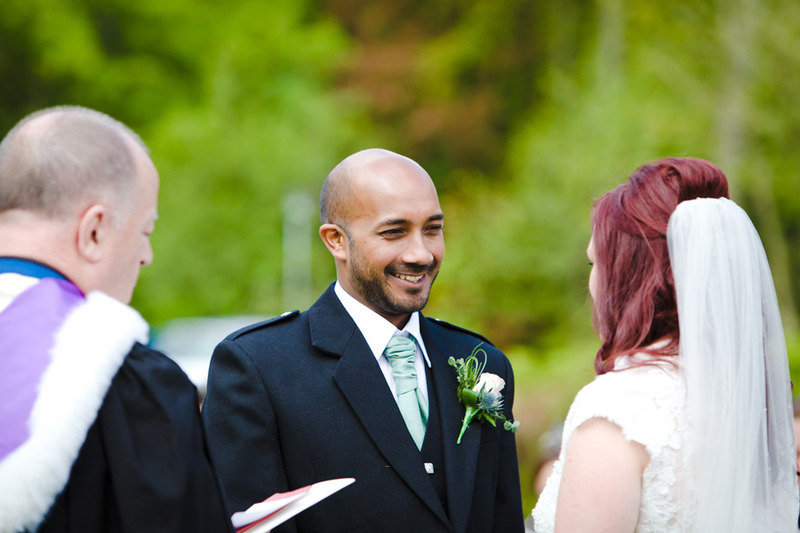 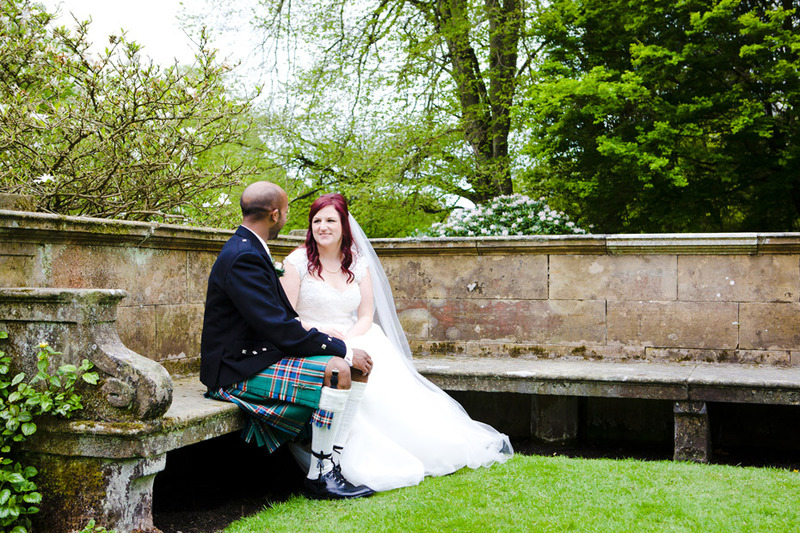 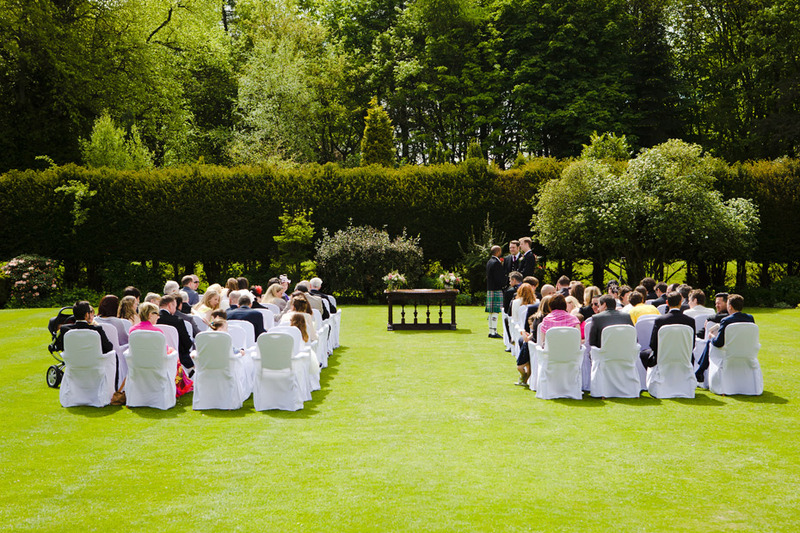 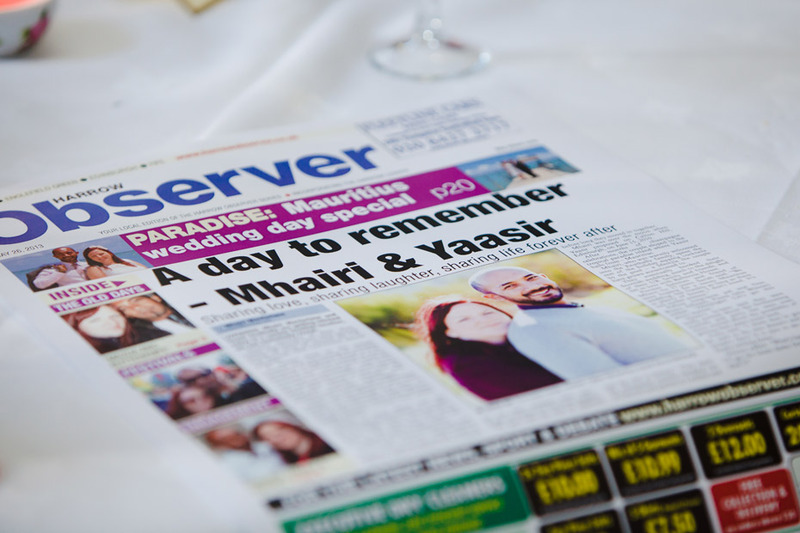 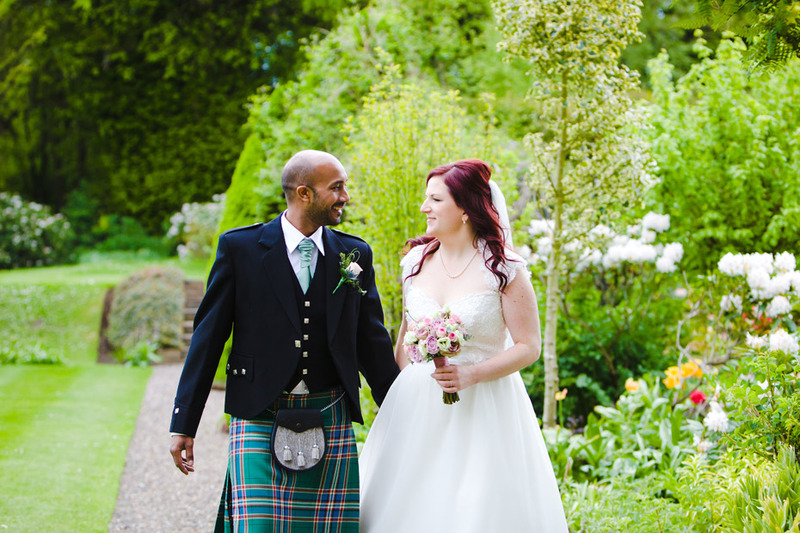 Mhairi & Yaasir had the most perfect day at Balbirnie House, the sun shone and allowed for the ceremony to be held outside. 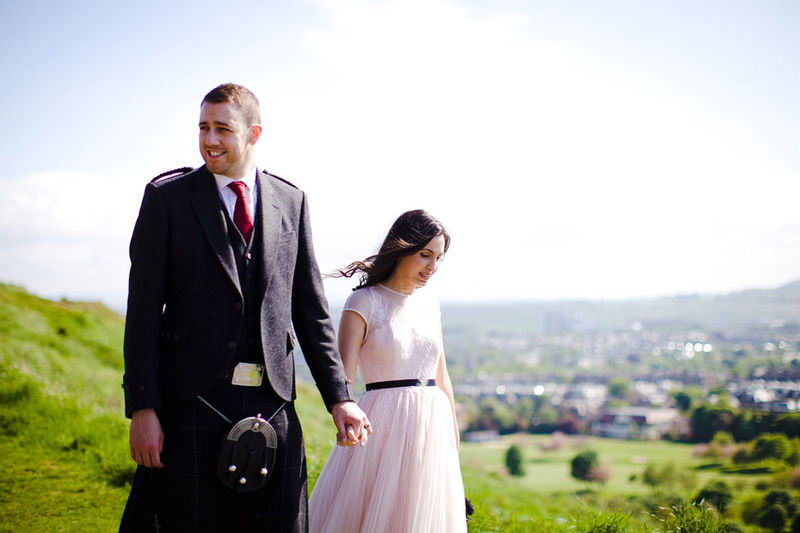 It was a while since I’d met Mhairi & Yaasir, the last time being their pre-wedding shoot on Carlton Hill so it was great to catch up again. 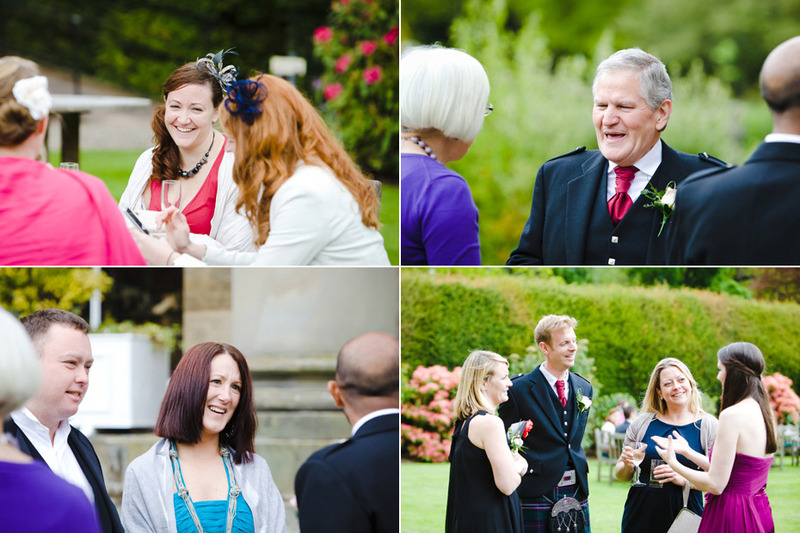 I’ve shot many weddings at Balbirnie House and it still remains to be one of my favourite venues to work at, its beautiful gardens provide a lovely backdrop for photographs, large light reception rooms, as well this the team at Balbirnie ensures each wedding day runs like clockwork meaning you can relax in knowledge that your day will run smoothly.